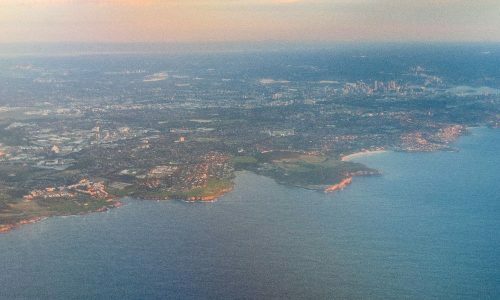 I had the chance to live in Australia for seven months in 2016 and it changed my life forever. 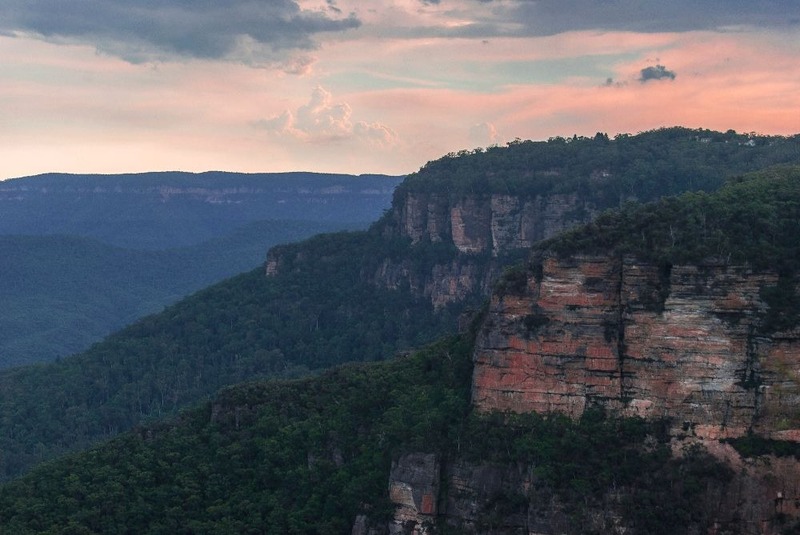 I owe a lot to this astonishing country, including my love for nature and landscape photography. 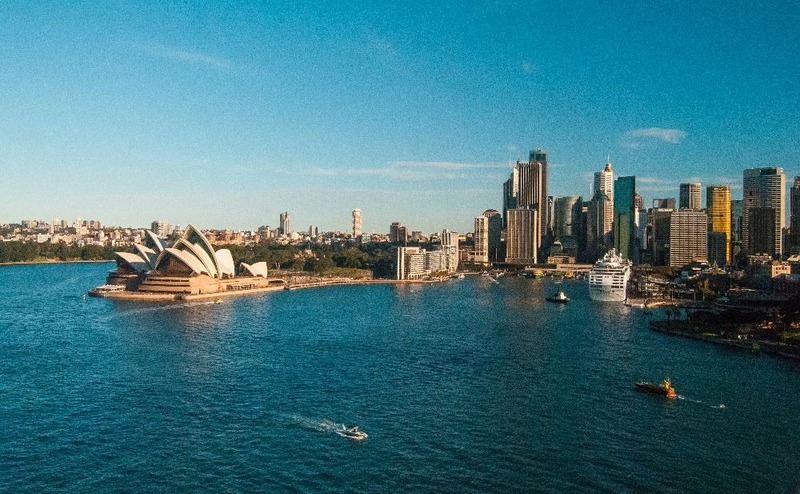 If you think Australia is big, keep in mind that it is bigger. 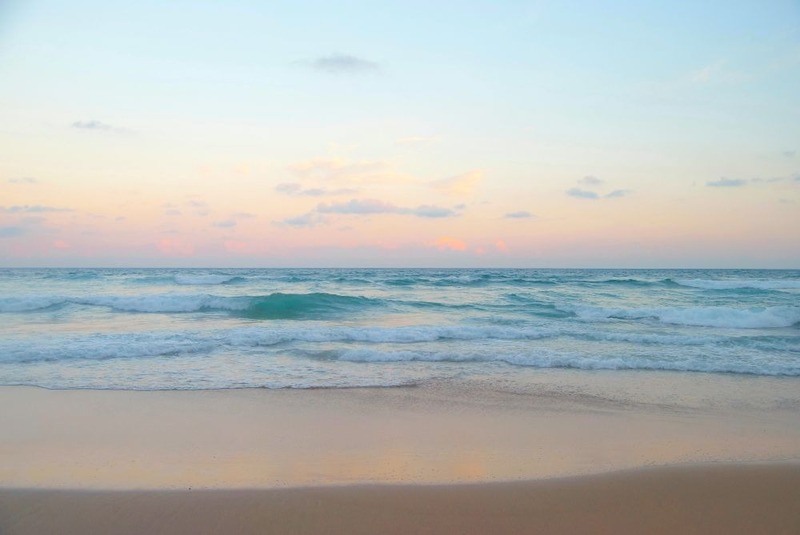 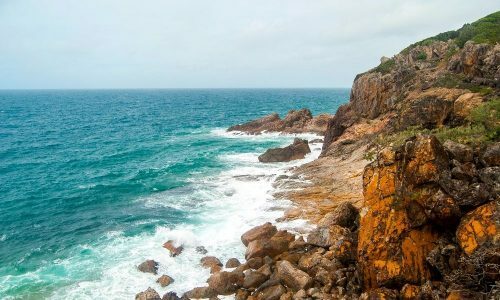 You will need a lot of time to properly visit even a quarter of it, so I definitely recommend taking at the very least a full month to visit the East Coast alone. 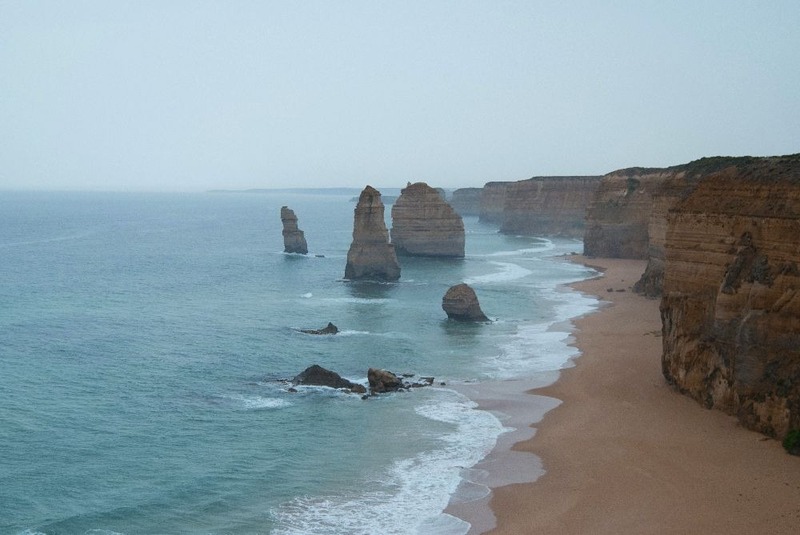 I did not visit the west coast yet, but it’s very high on my list. 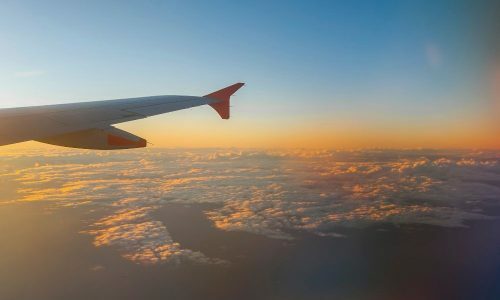 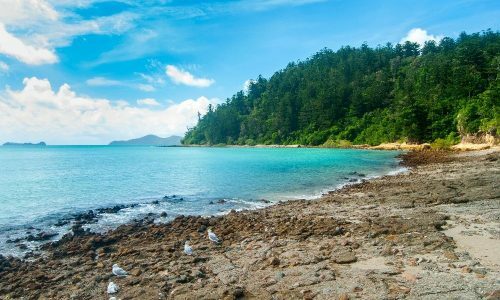 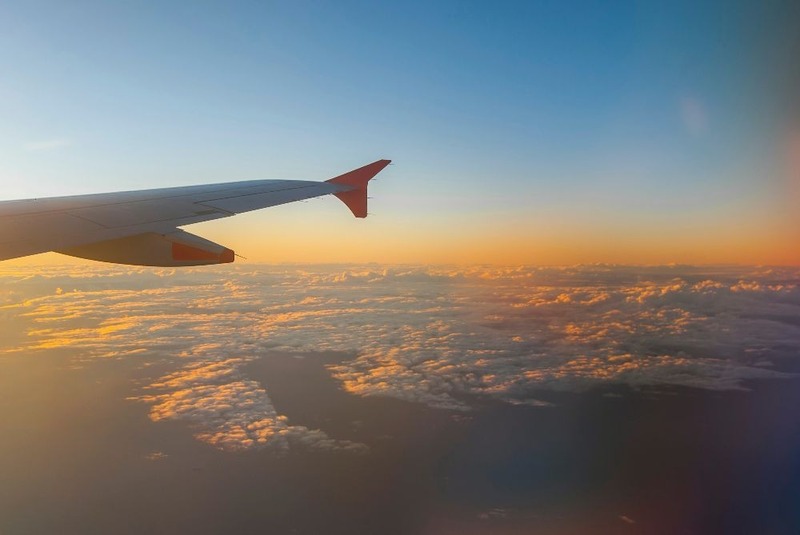 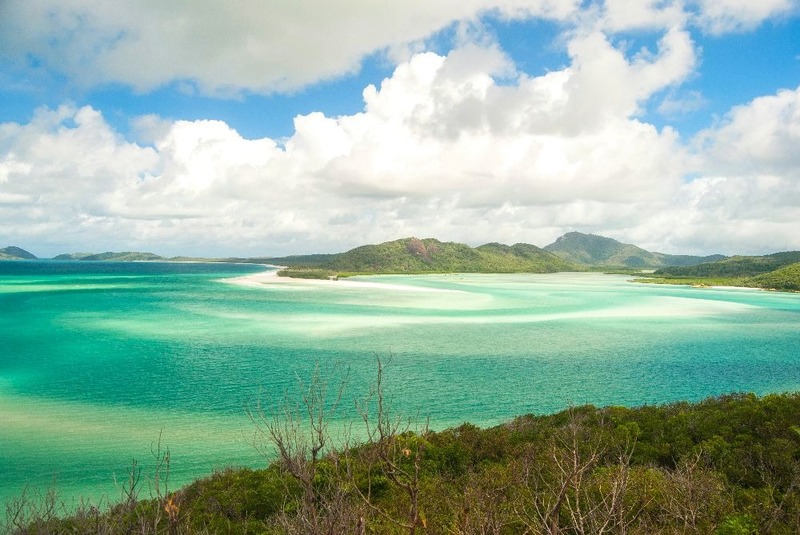 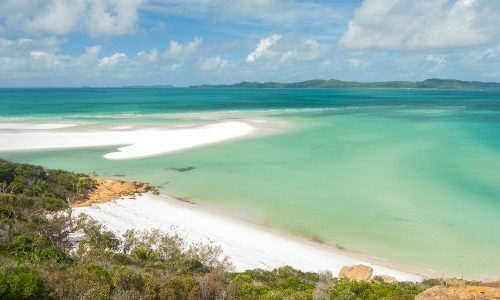 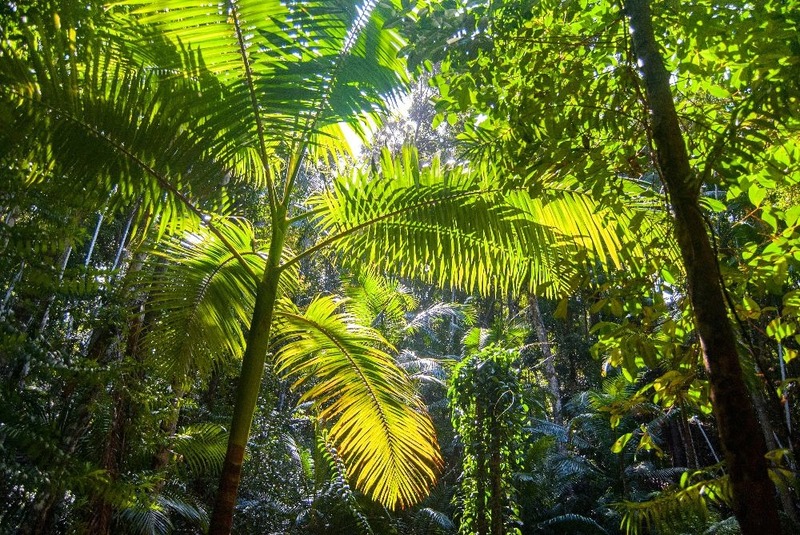 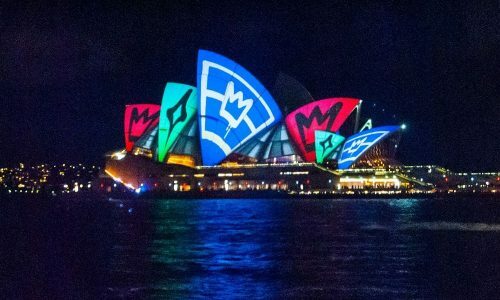 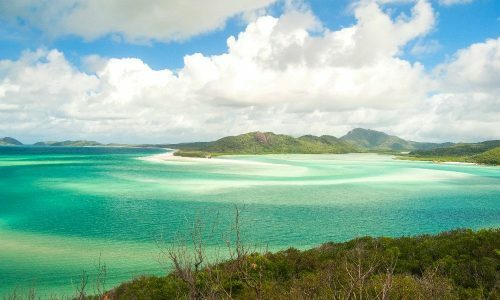 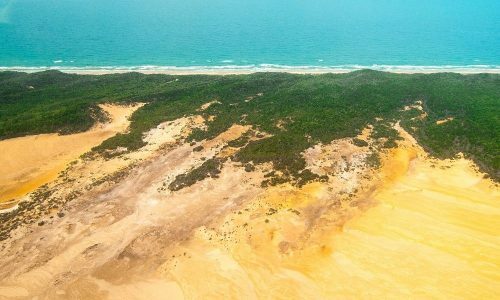 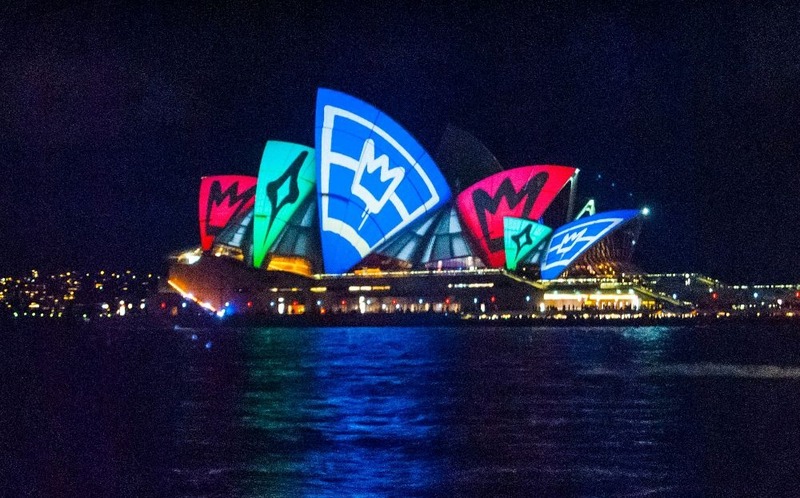 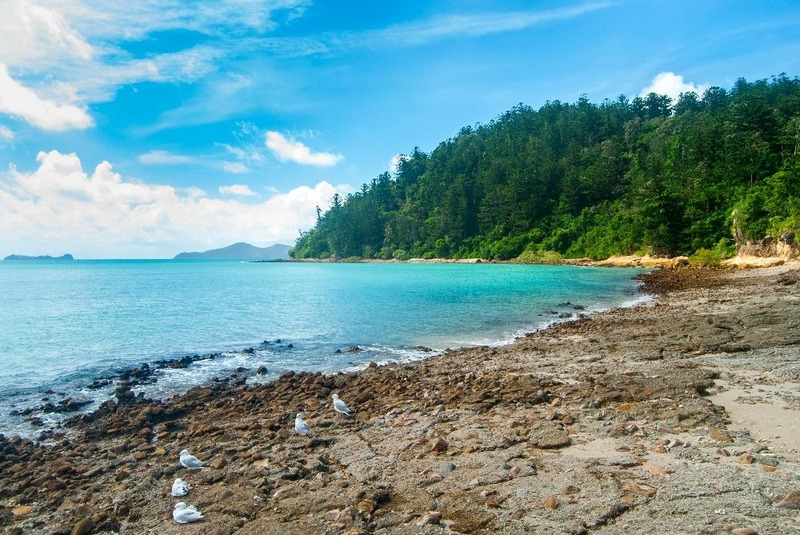 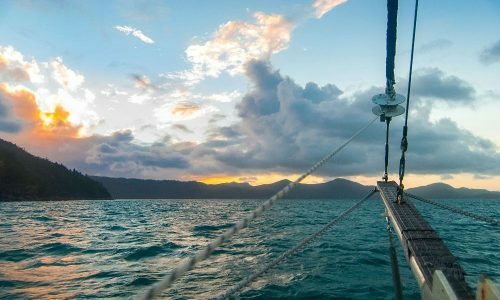 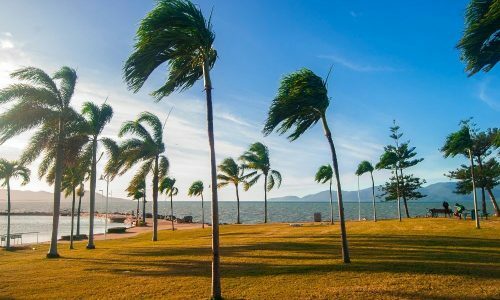 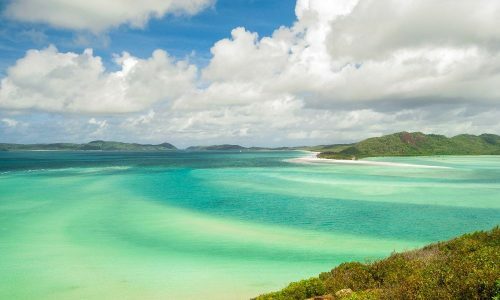 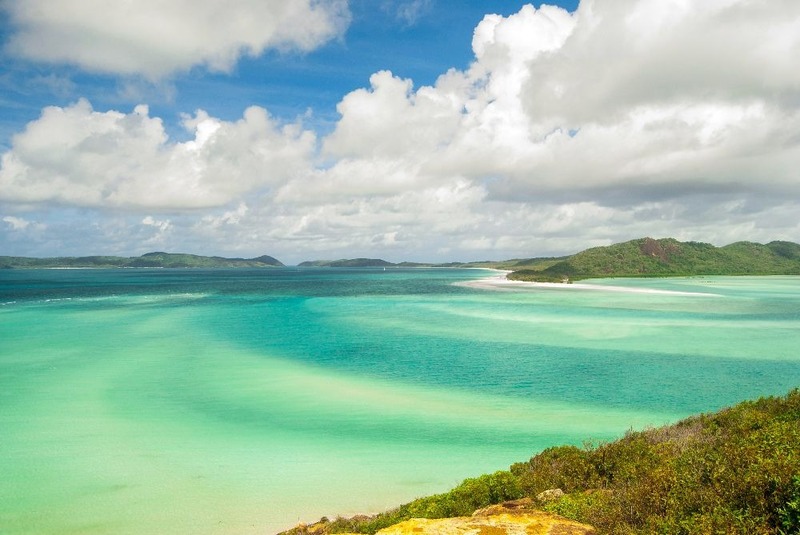 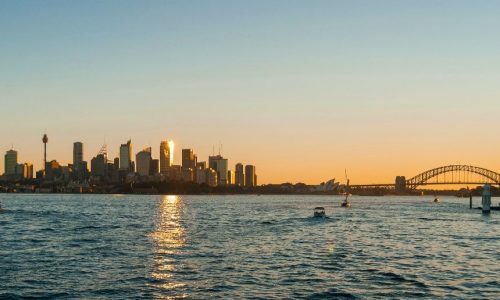 The beauty of Australia has a price, so keep in mind that transport, food, alcohol and accommodation are all very expensive throughout the country. 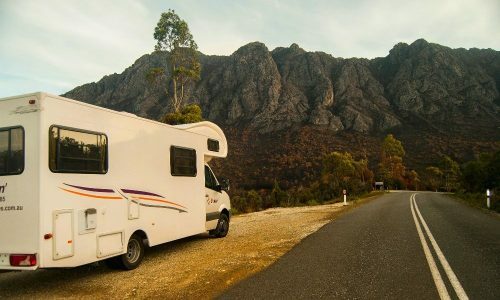 Of course, there are ways to make it cheap, but traveling the desert for months in a van eating noodles every day and drinking cheap wine isn’t for everyone. 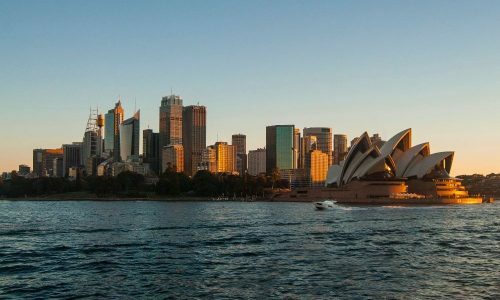 I had the chance to study there, which made it easier for me to move around and explore key areas without breaking the bank. 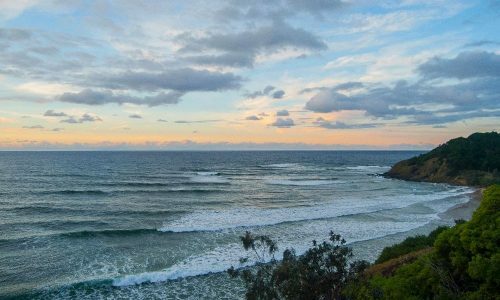 Here is an overall itinerary of my whole 8 months in Australia. 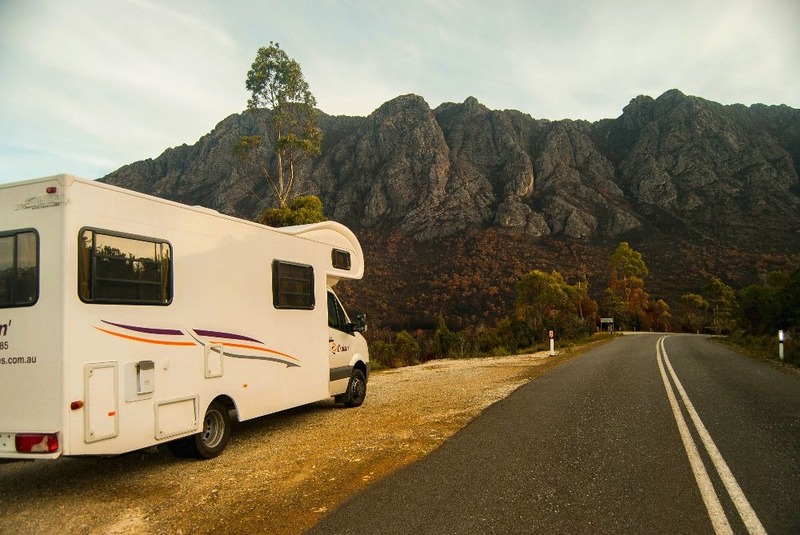 For a detailed itinerary for each destination, check them out below. 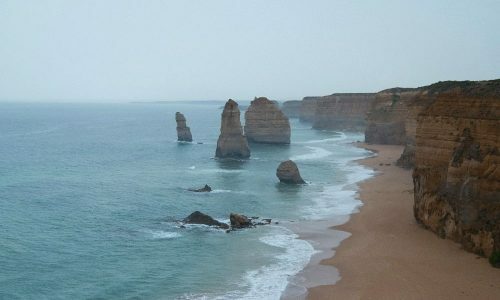 I traveled down the east coast with six friends for ten days in late April 2016 and had an absolute blast. 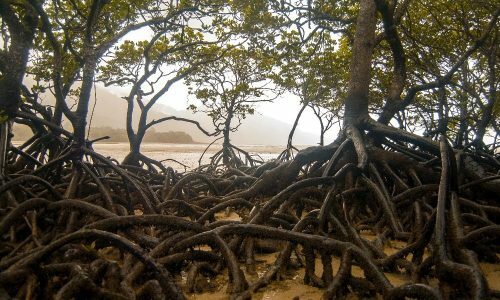 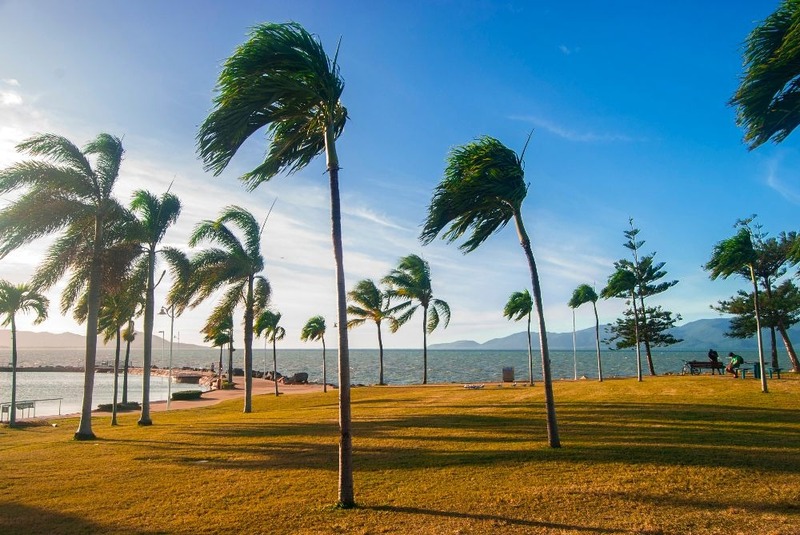 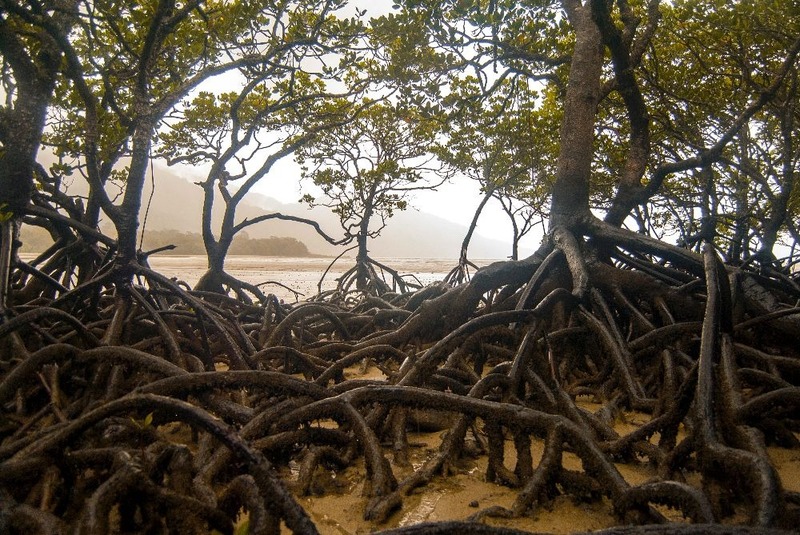 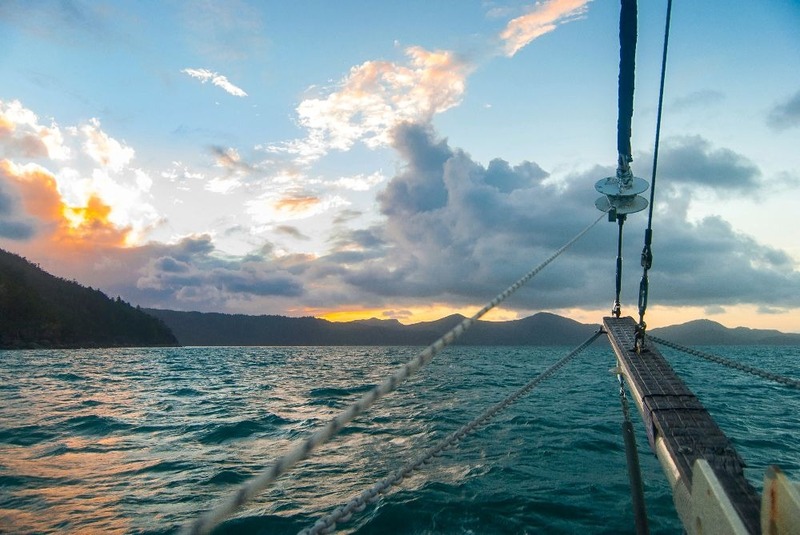 We started our journey in Cairns, the Great Barrier Reaf capital, and made our way down to Brisbane stopping in Townsville, the Whitesundays and Fraser Island on the way. Needless to say all these locations were insanely beautiful and our only regret is not having more time to explore all of them properly. 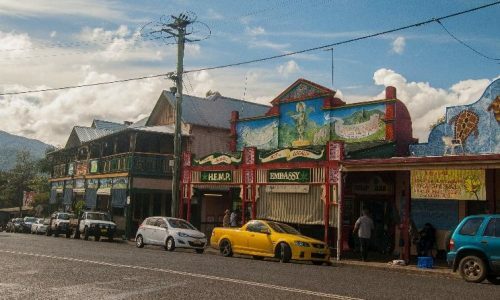 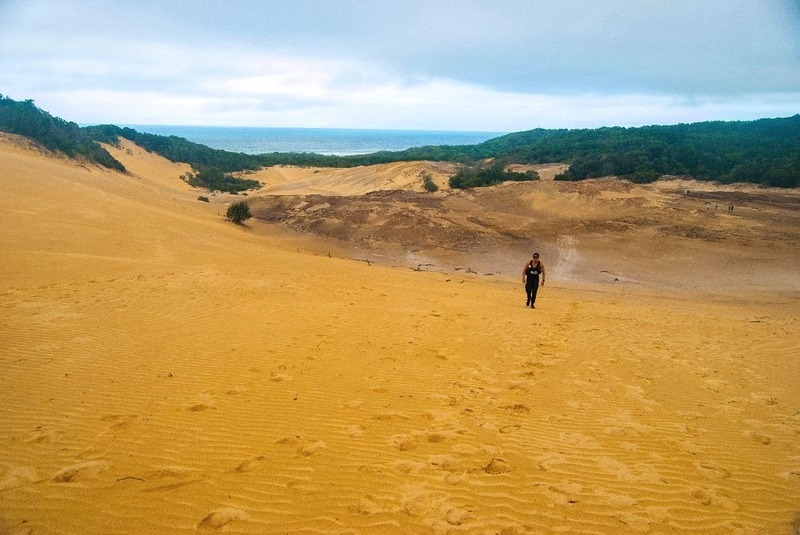 Tours in those areas are extremely pricy for anyone on a budget so, as a result, our ten days cost us $2000 AUD. 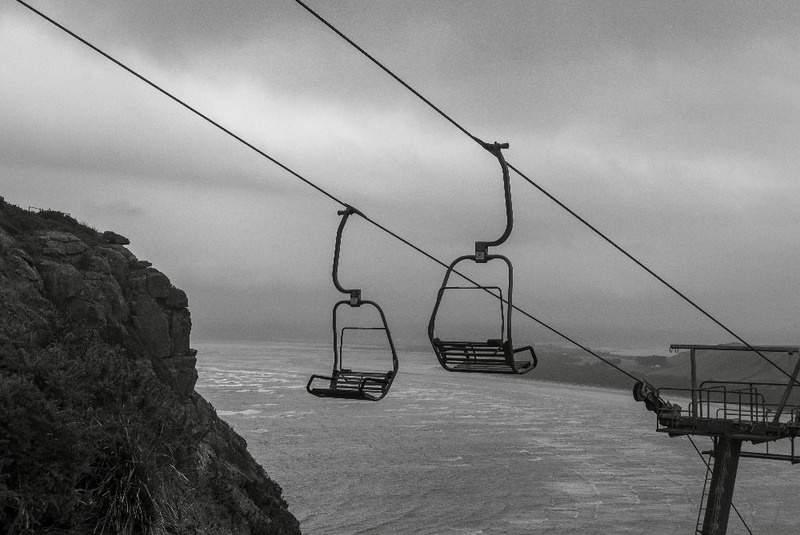 There are ways to make it cheaper, but you’ll need more time than we had to make it happen. 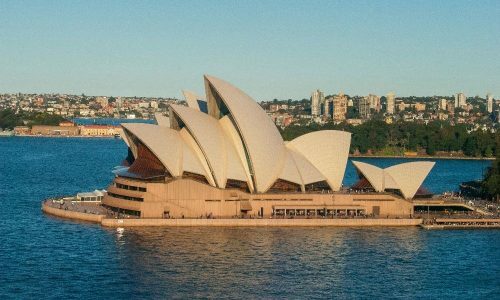 Nevertheless, the price tag doesn’t really matter as I collected some of my best Australian memories during those ten days. 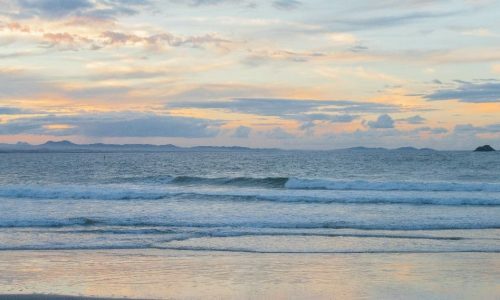 At the end of my exchange, I did one last trip with a few friends from uni and flew for a weekend to the Gold Coast and Byron Bay. 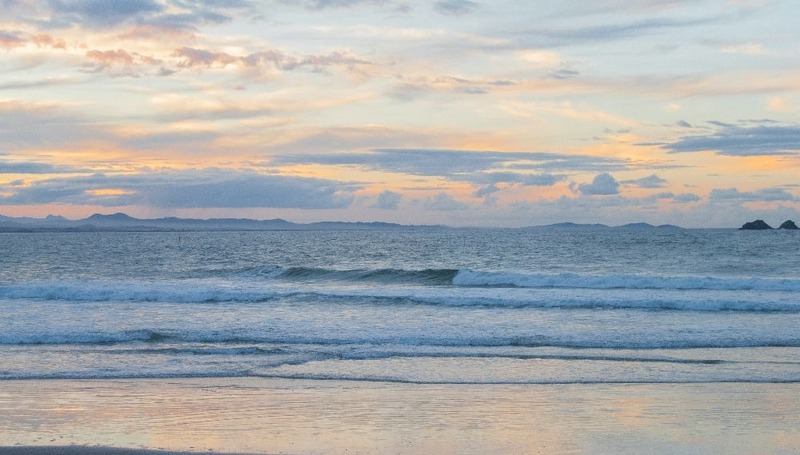 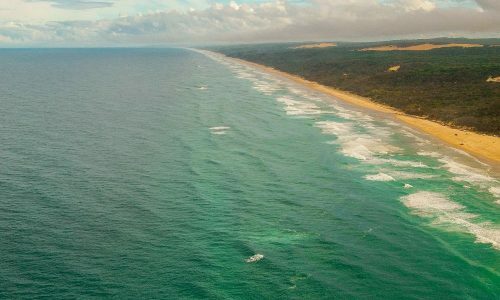 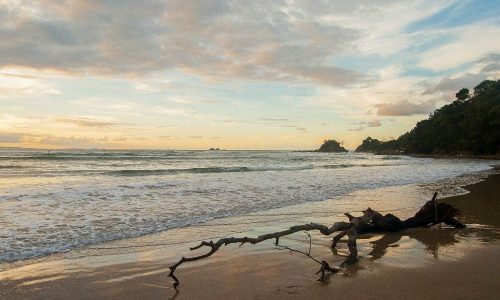 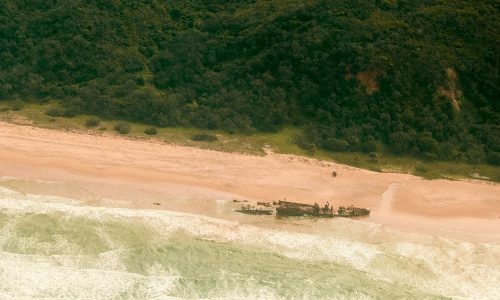 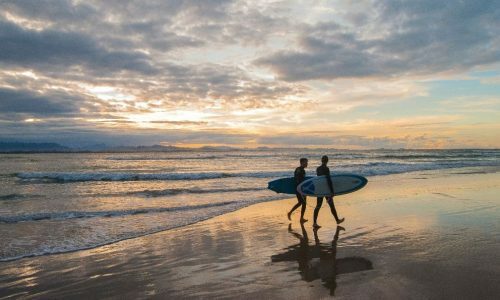 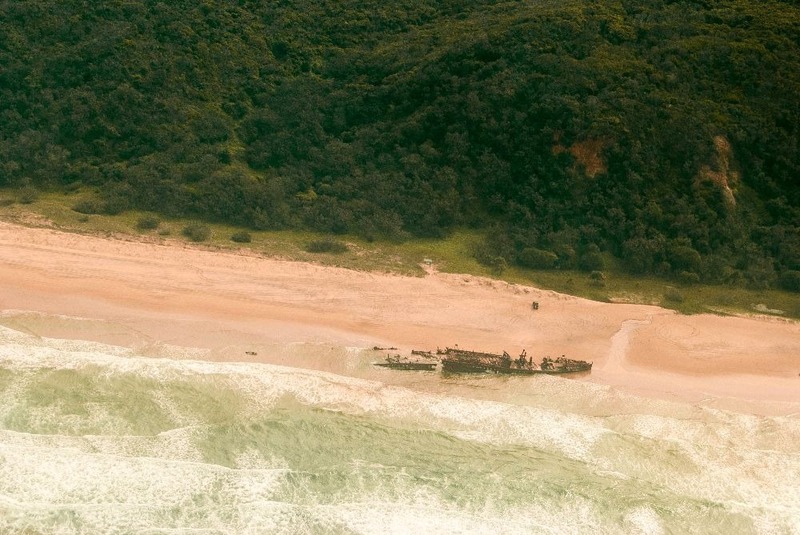 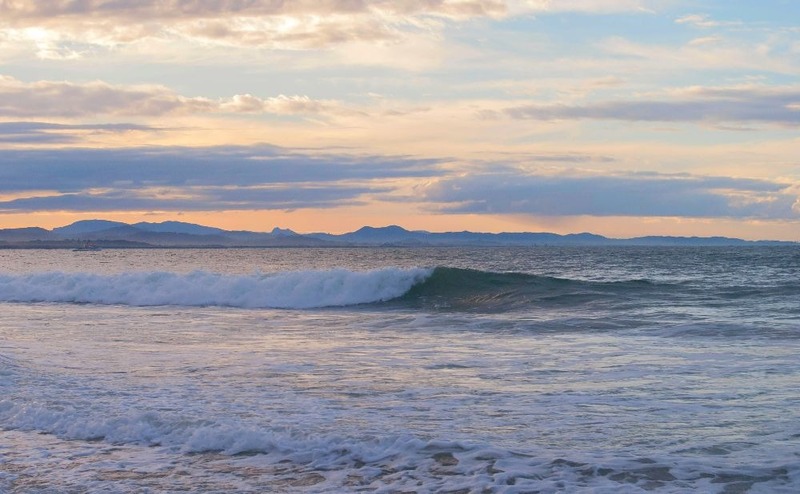 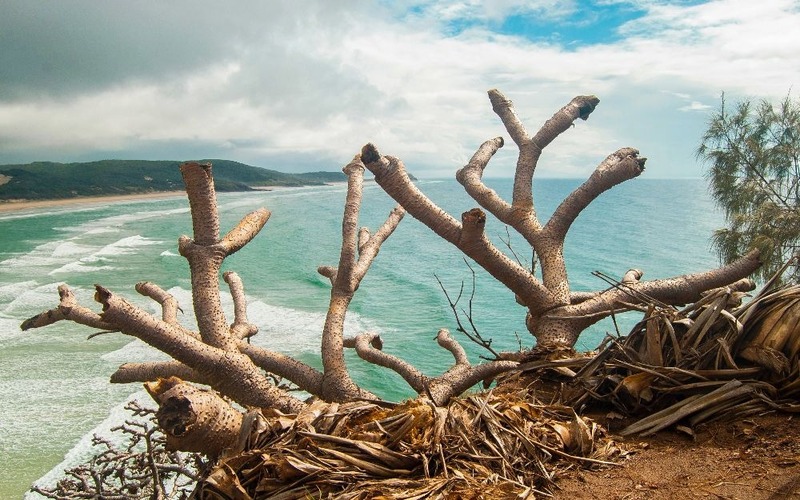 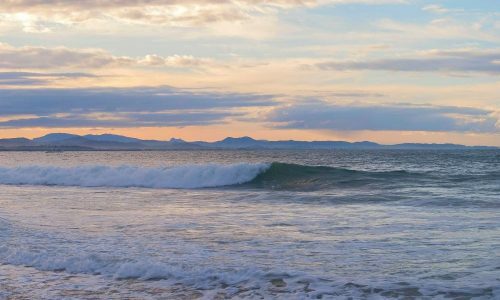 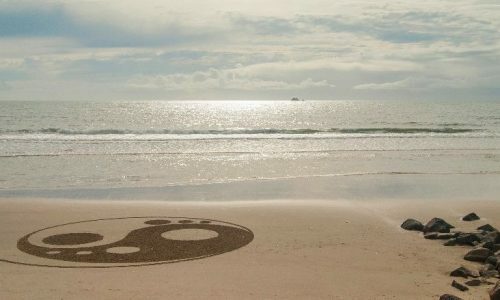 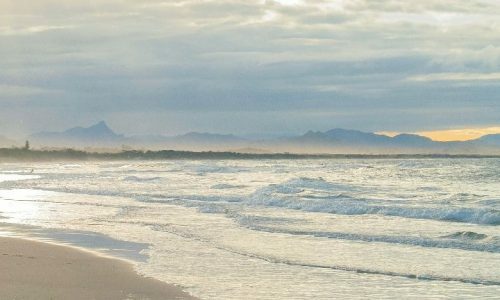 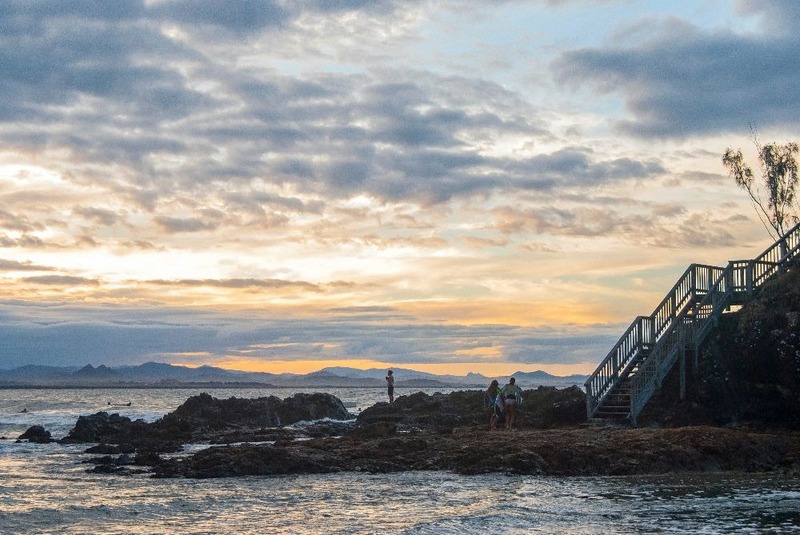 Byron Bay is famous for being a chill/hippy town but it is quickly changing into a more expensive touristy destination. 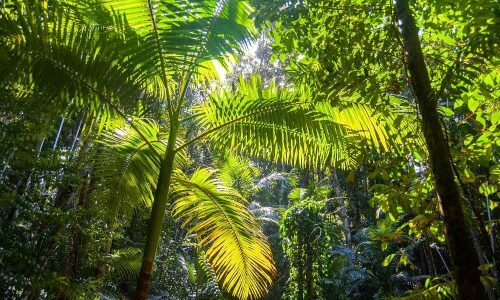 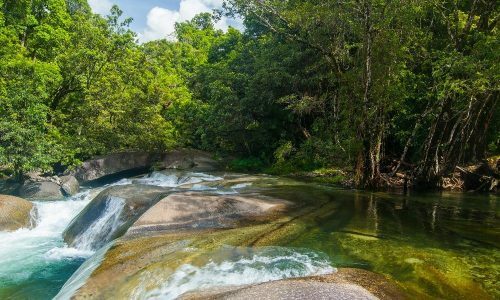 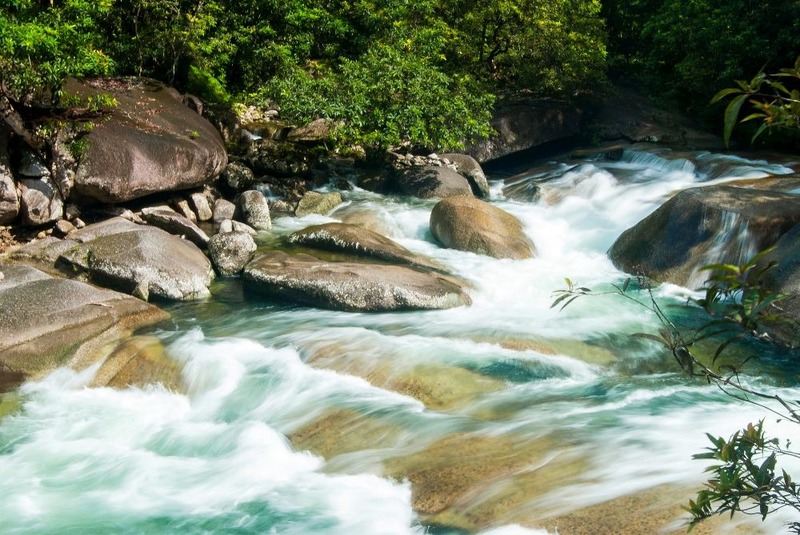 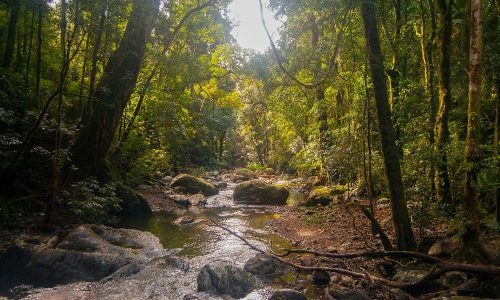 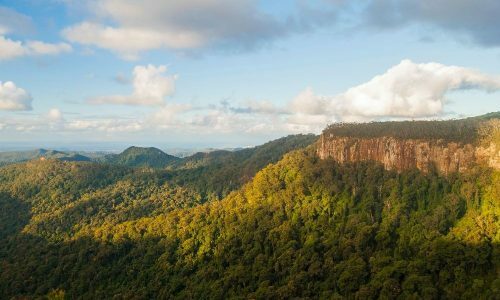 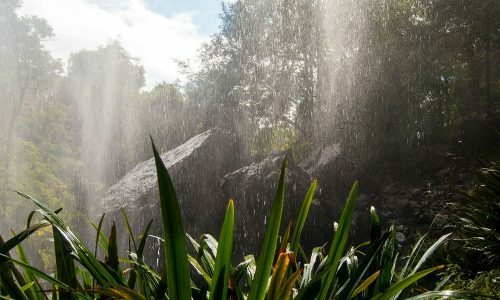 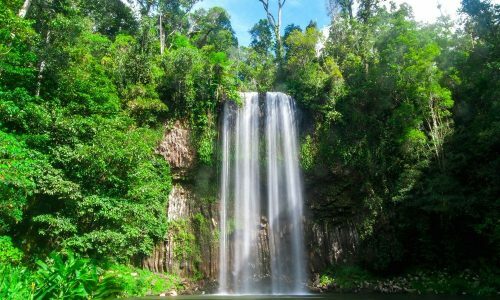 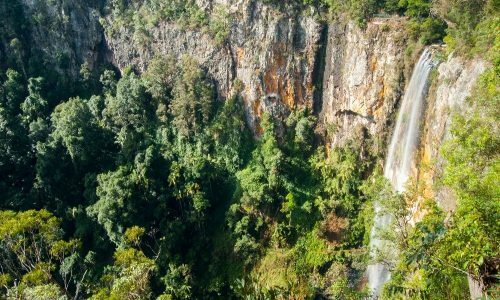 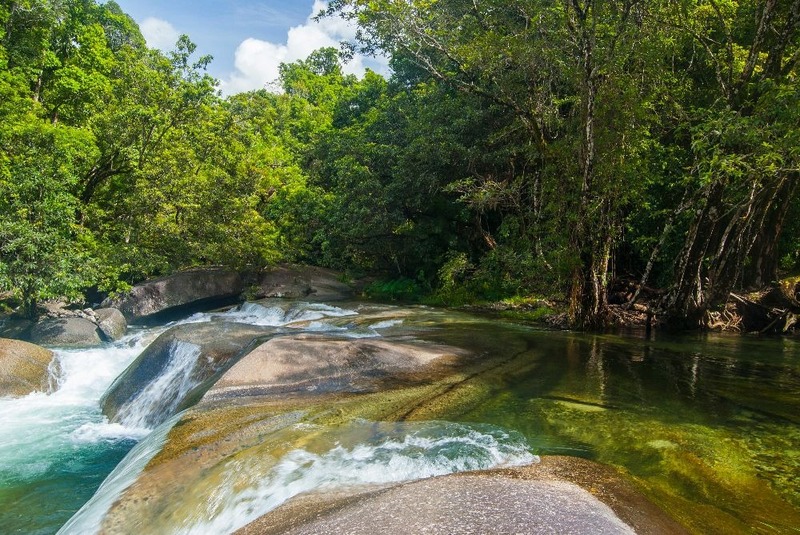 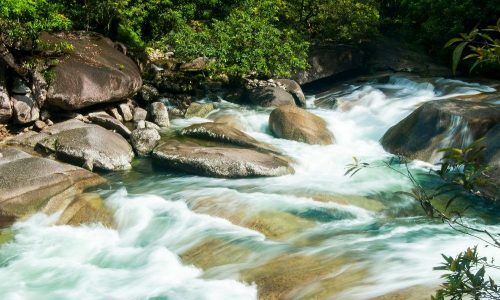 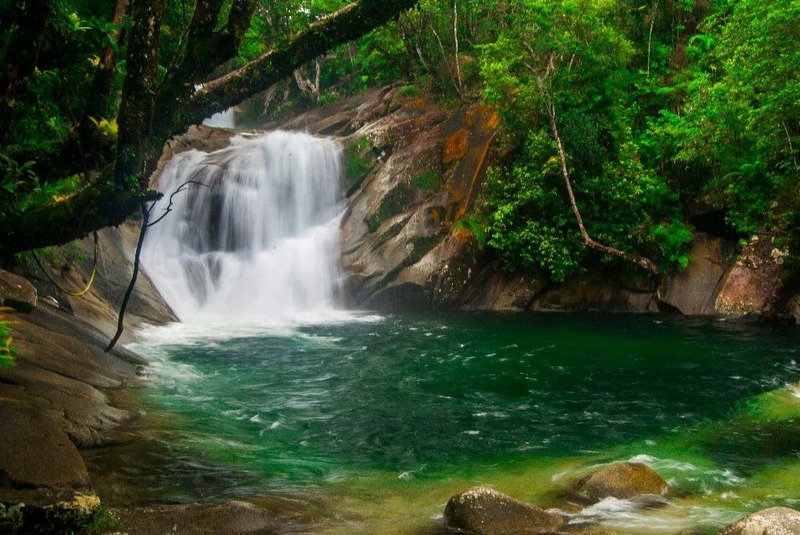 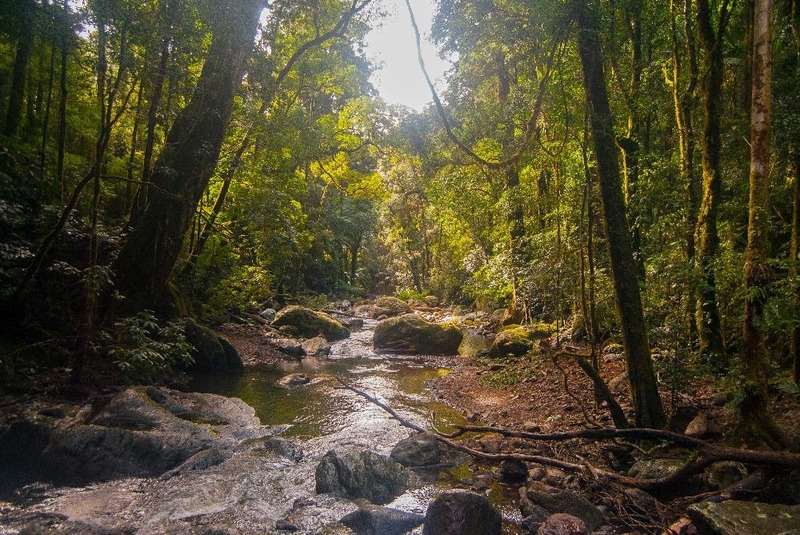 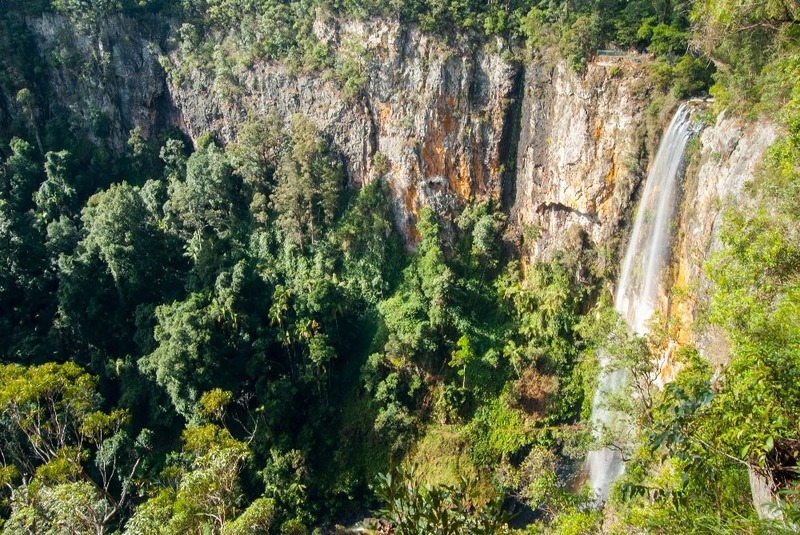 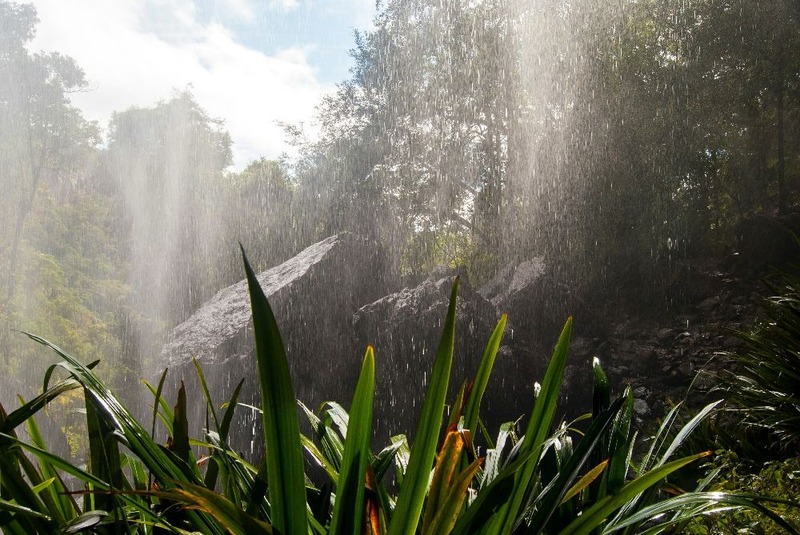 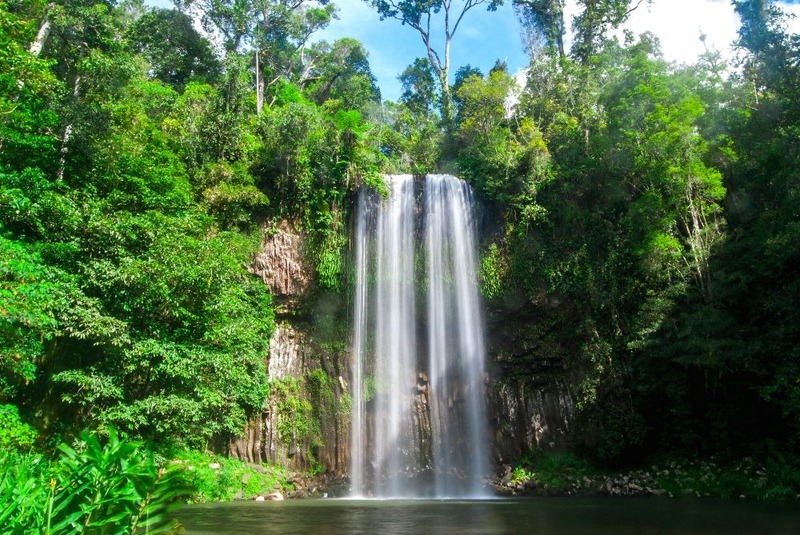 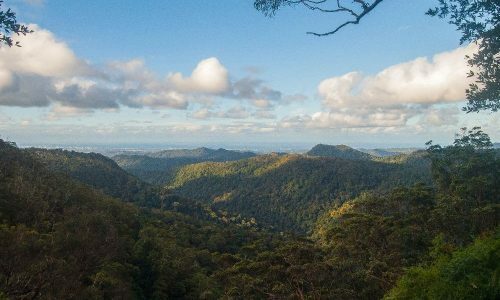 It still has a lot of charm and is conveniently located near the Gold Coast, therefore the beautiful Springbrook National Park. 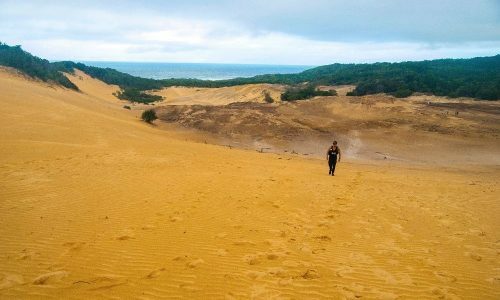 I had a great time there with my friends but I am convinced it is the perfect destination for any solo traveler willing to meet some people. 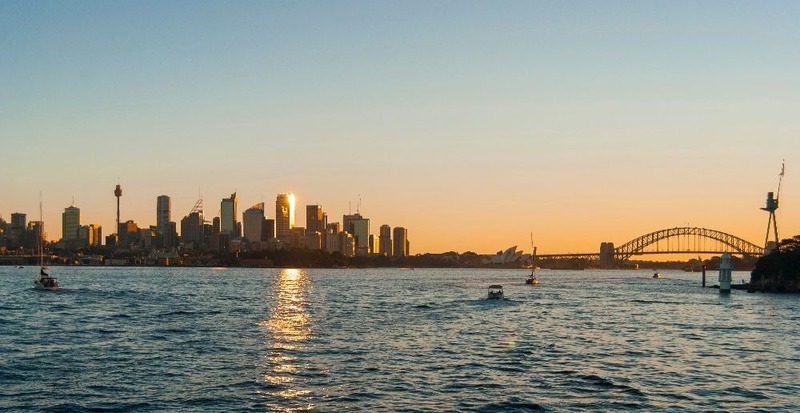 When I was in Australia, I spent most of my time in Sydney, where I was living, studying and working, so I had the chance to explore the area quite a lot. 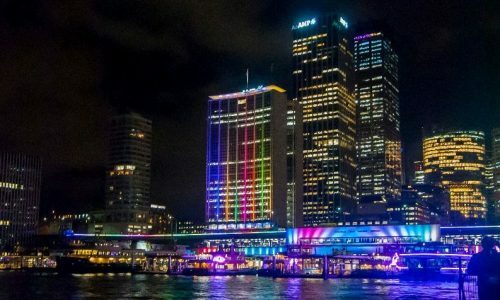 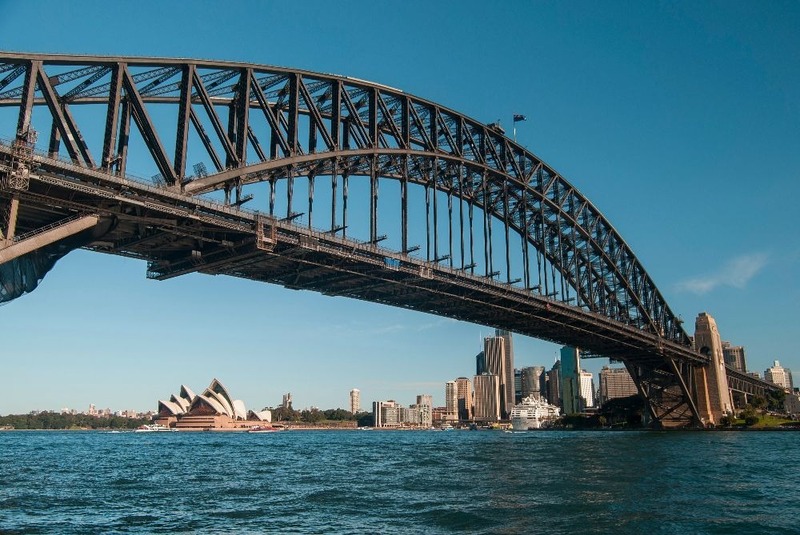 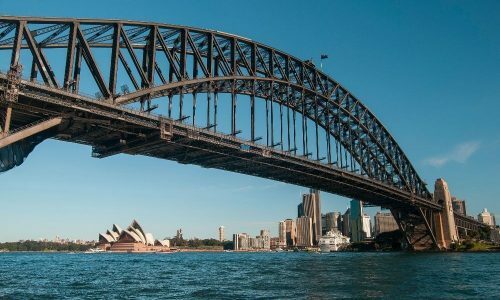 Sydney is by far the most expensive city in Australia when it comes to accommodation, so if you are on a tight budget, avoid staying there for too long (especially around Christmas or other holidays). 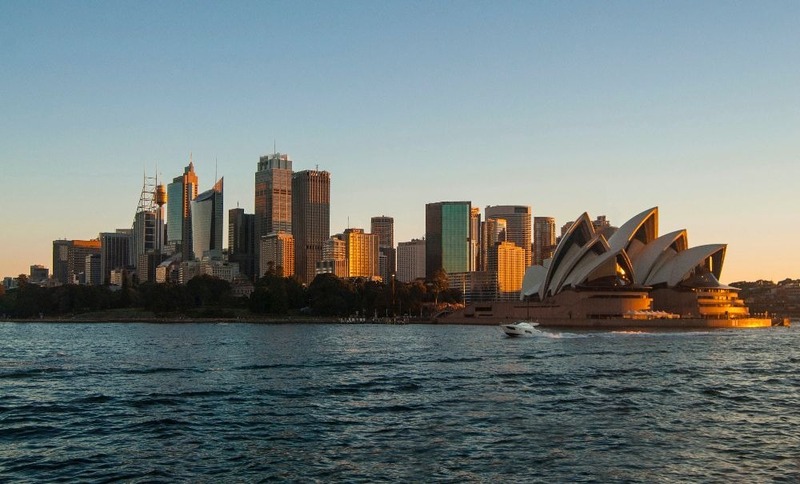 However, there is a reason why Sydney is so expensive: it is one of the most beautiful cities I’ve ever been to. 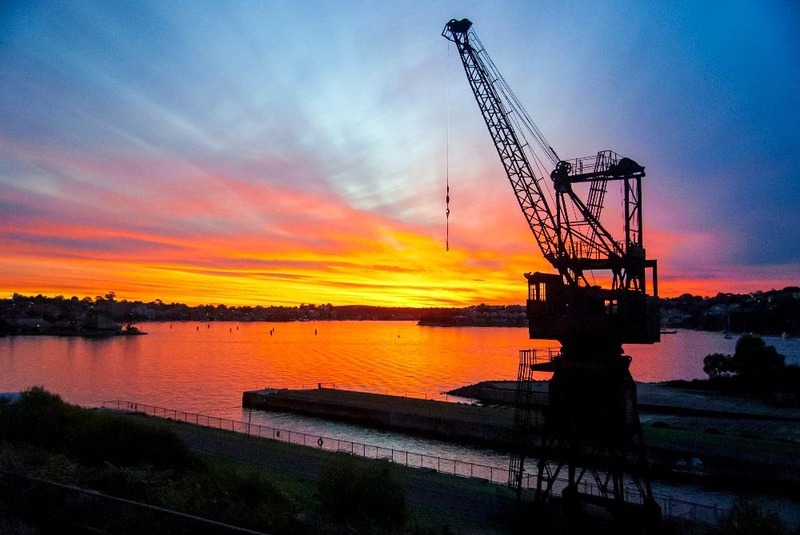 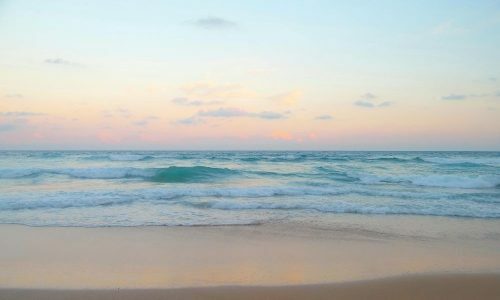 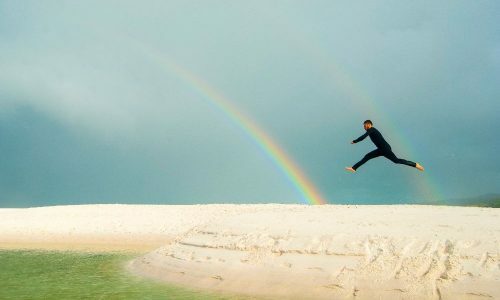 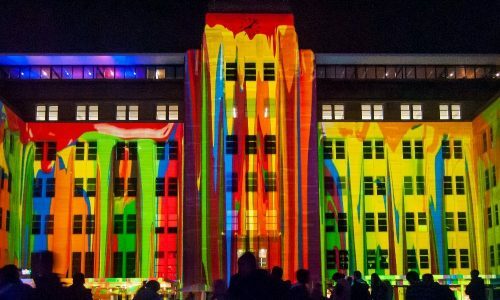 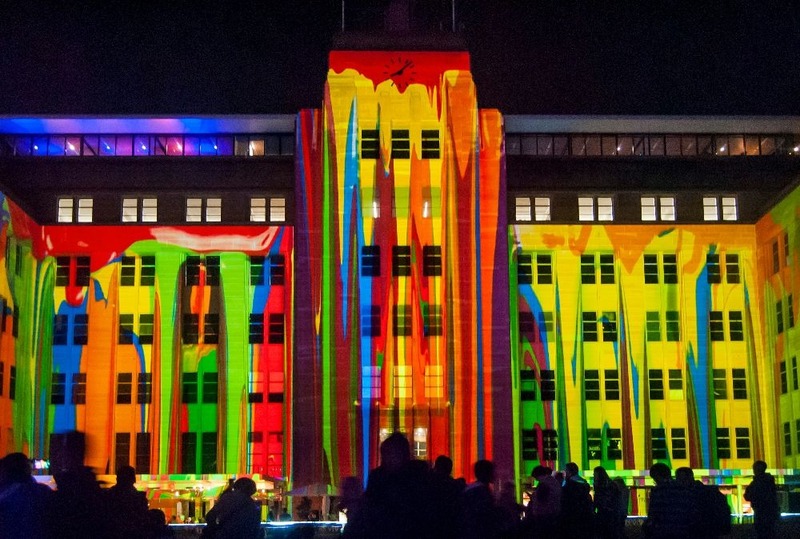 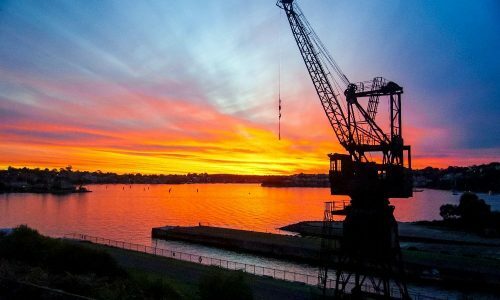 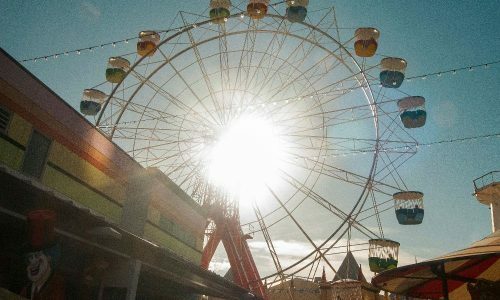 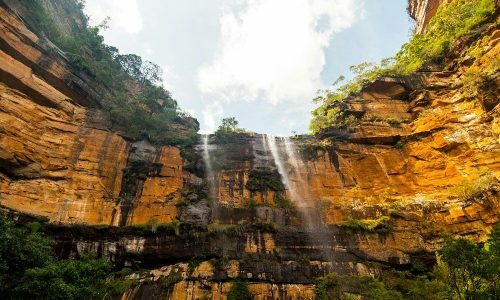 There is always something to do there, whether it’s going for an afternoon at the beach, a hike in one of the many national parks around the city, a brunch at a cute restaurant in Surry Hills or a walk along the famous harbor bridge. 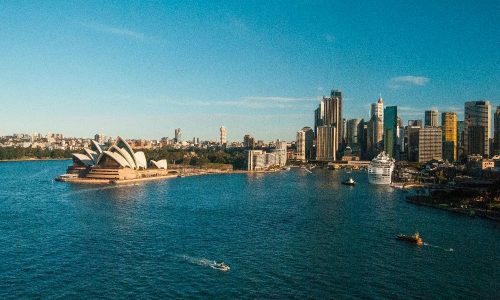 You definitely won’t run out of ideas of things to do when you get to Sydney, but I’ll be happy to give you some advice if you send me a direct message on Instagram (@Raphtravels). 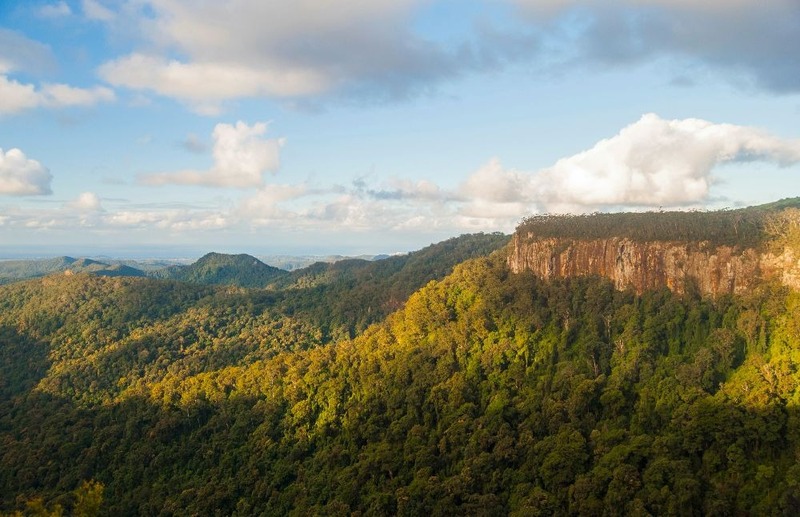 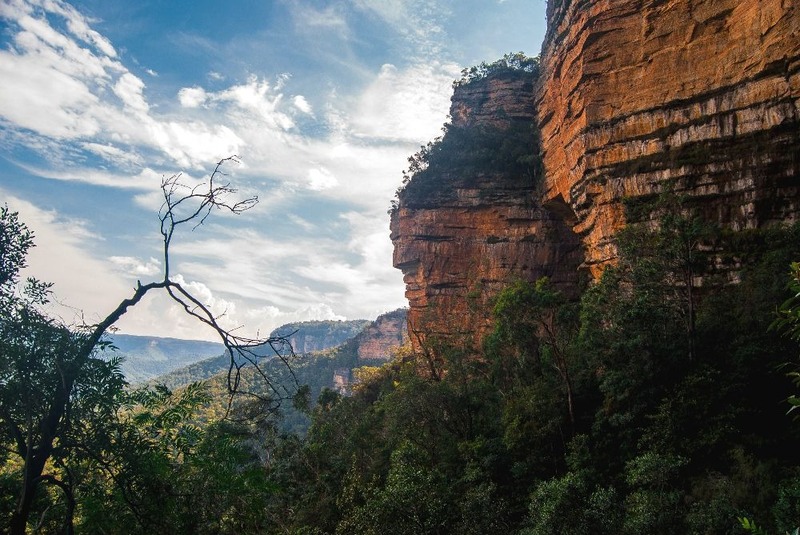 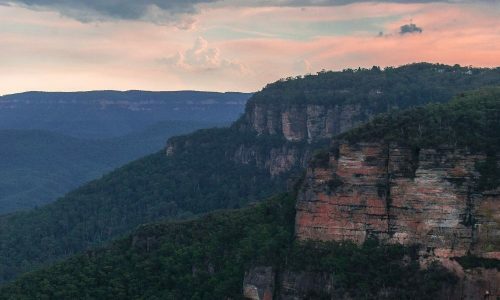 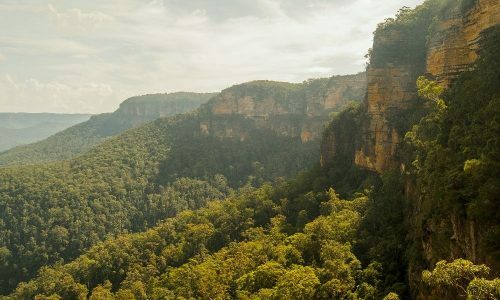 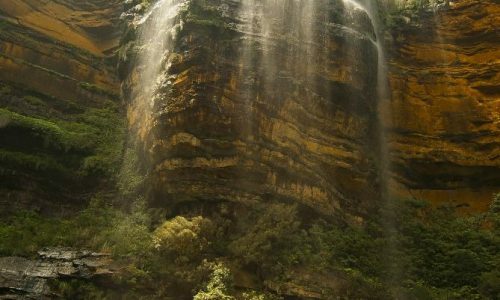 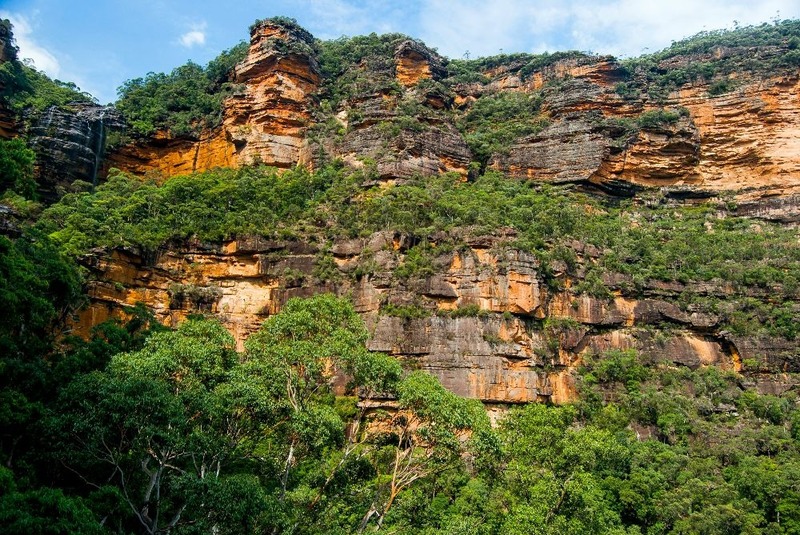 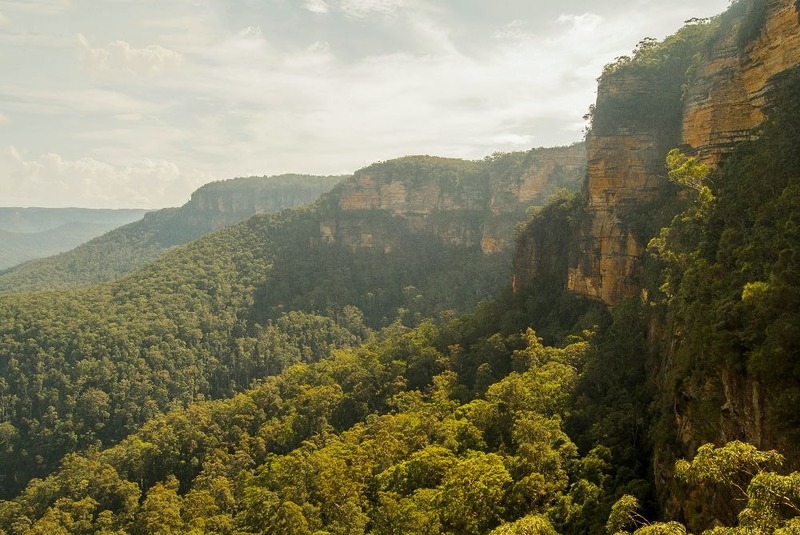 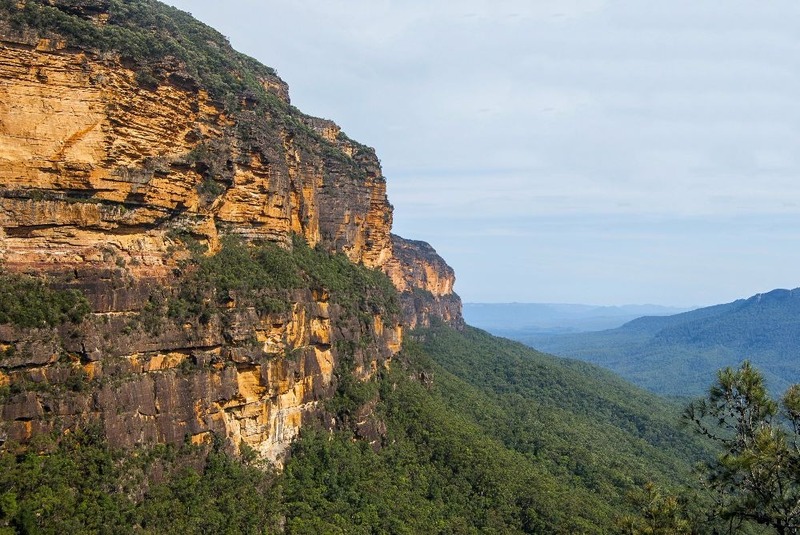 The Blue Mountains National Park is located roughly two and a half hour from Sydney and can be reached by train many times every day (for only a couple bucks if you go on a Sunday!). 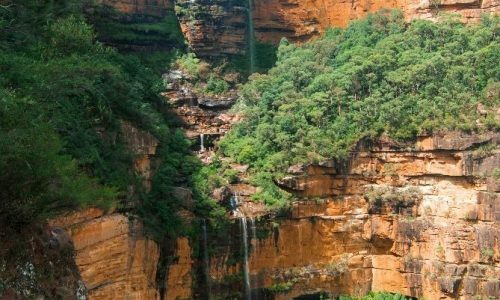 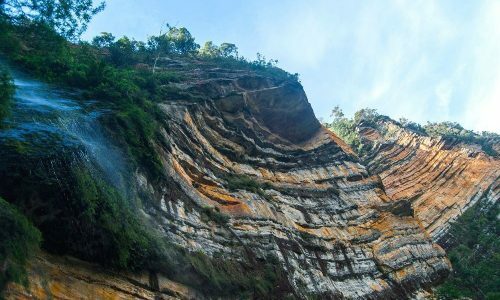 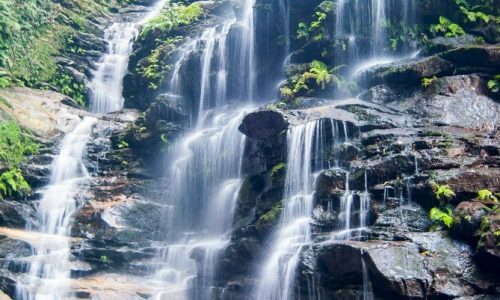 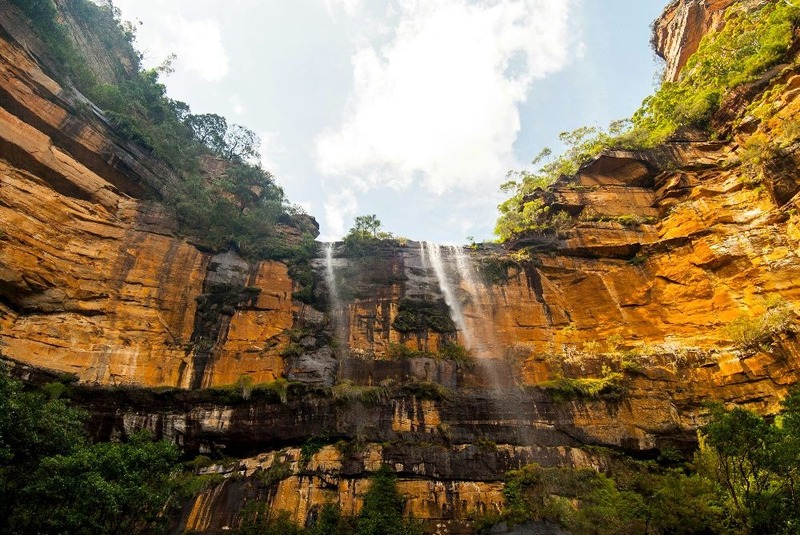 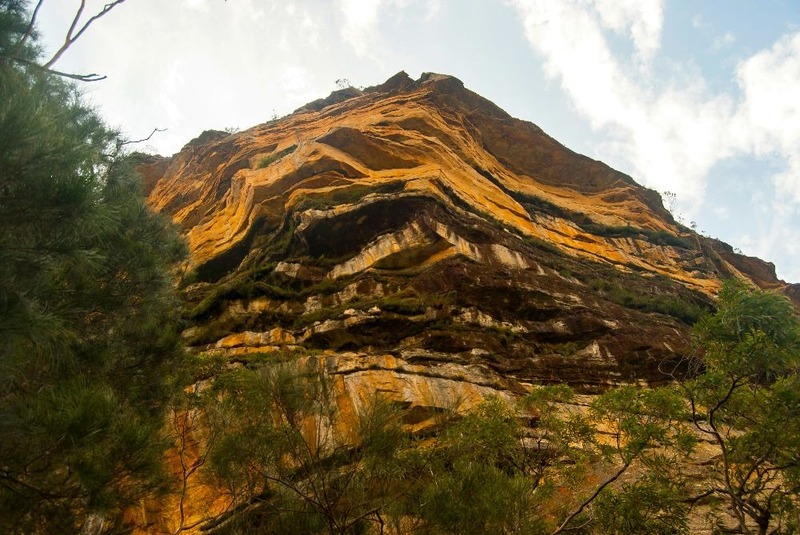 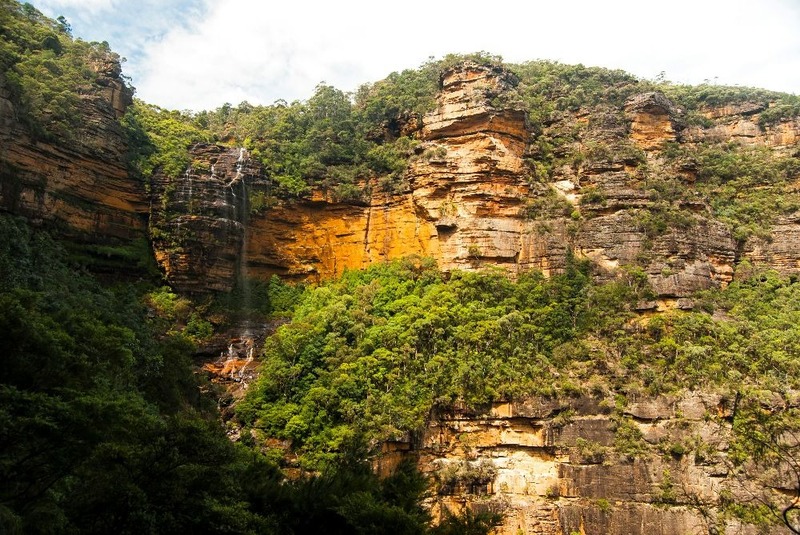 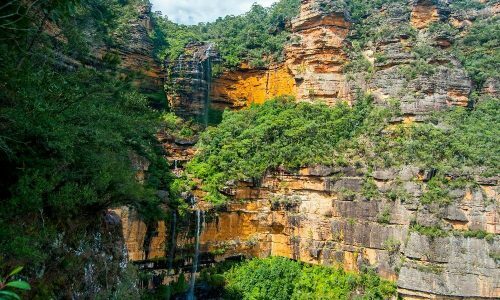 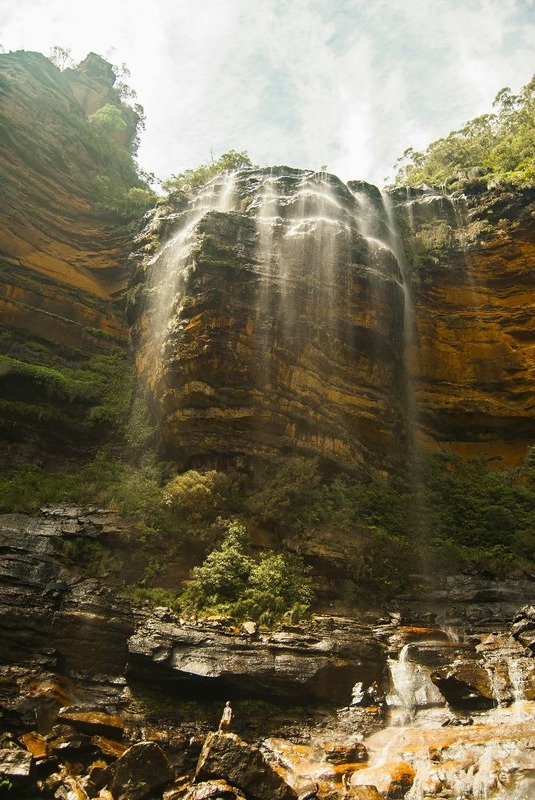 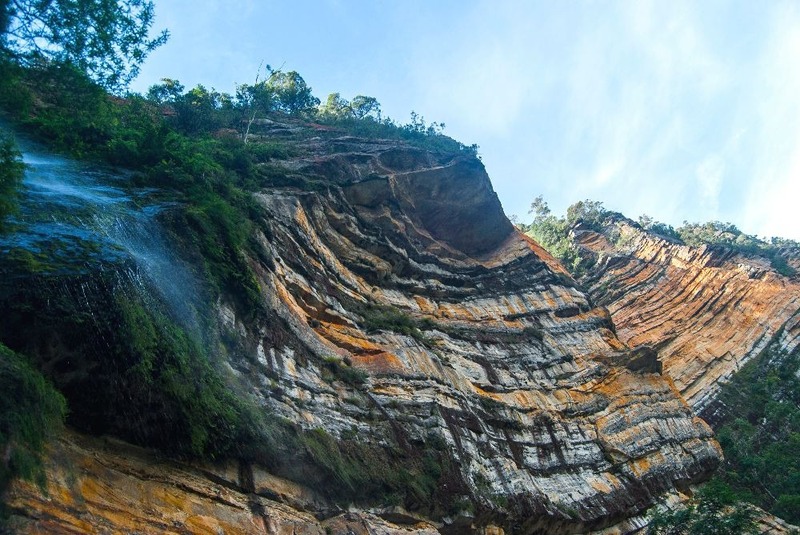 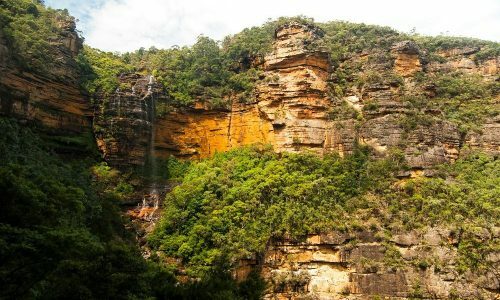 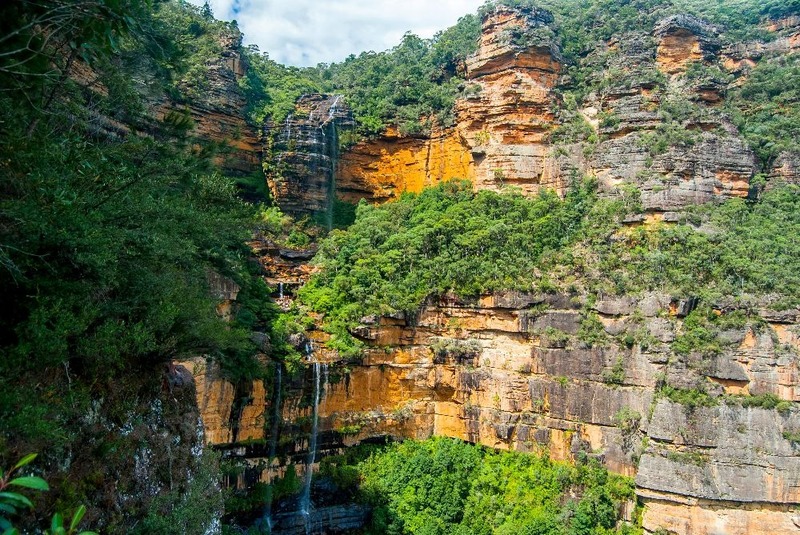 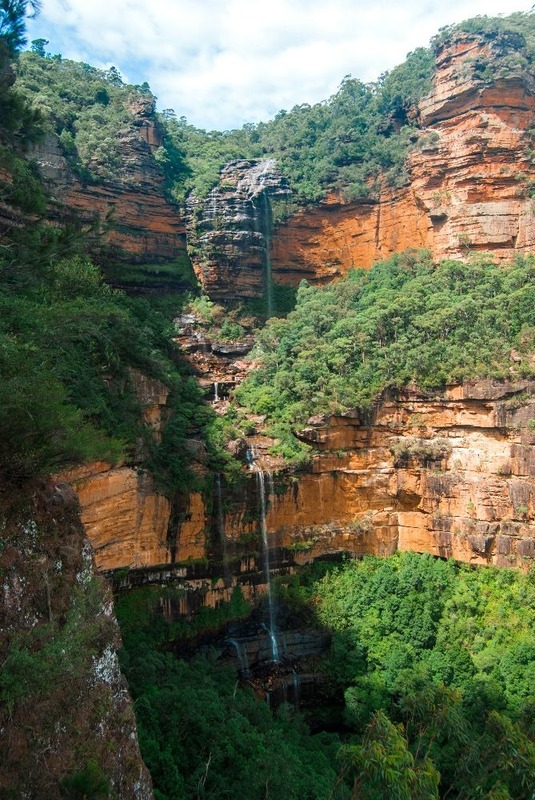 I have done several hikes in my trip and the National Pass within the Wentworth Falls section of the park remains one of my all time favorites. 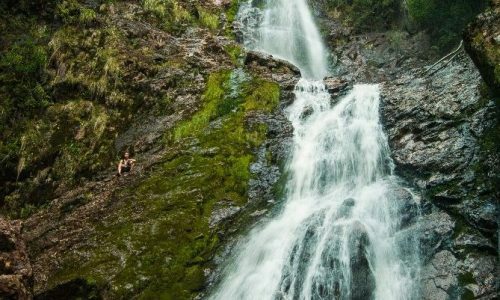 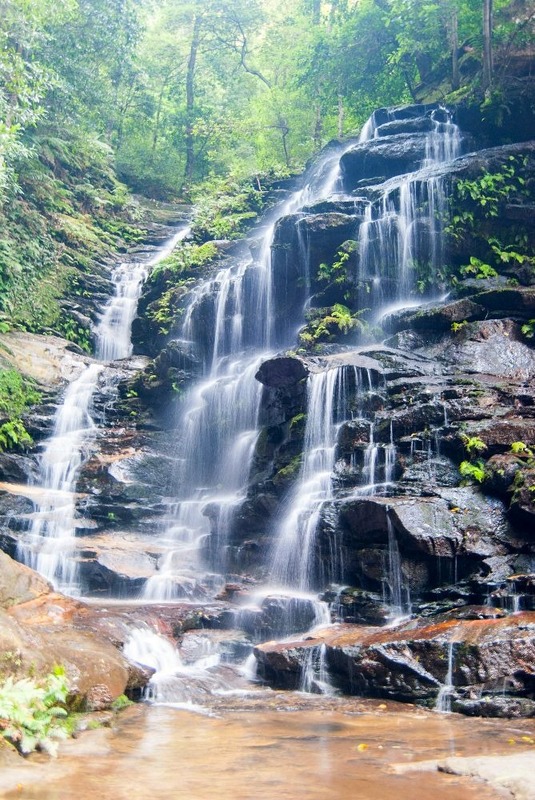 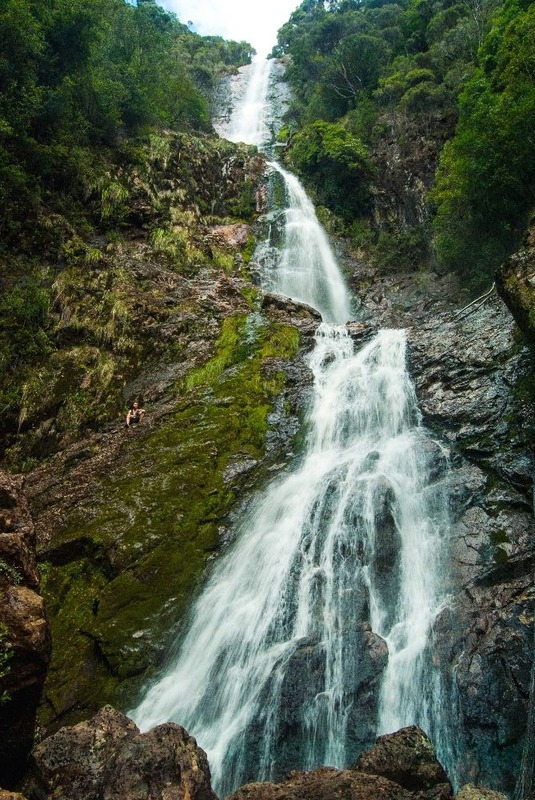 The waterfalls are simply breathtaking, and the trail that goes around the cliffs will take your breath away. 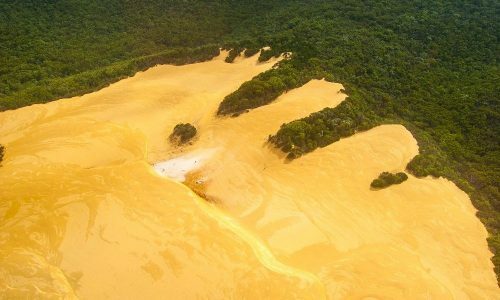 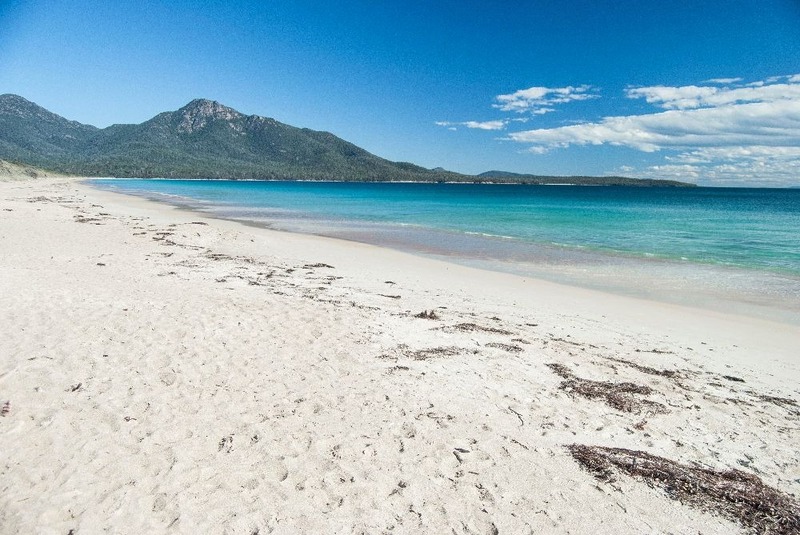 If you go in the summer, bring a swimsuit as you’re gonna want to go for a swim! 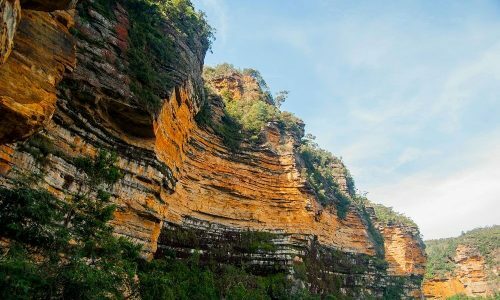 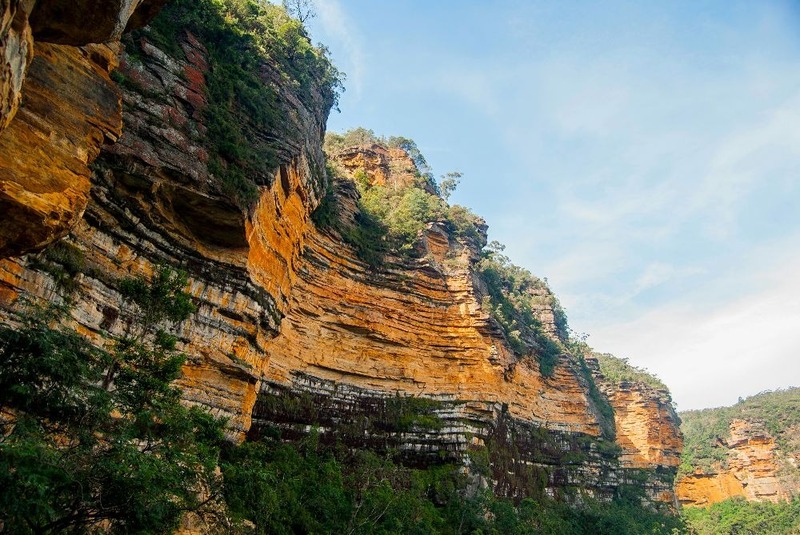 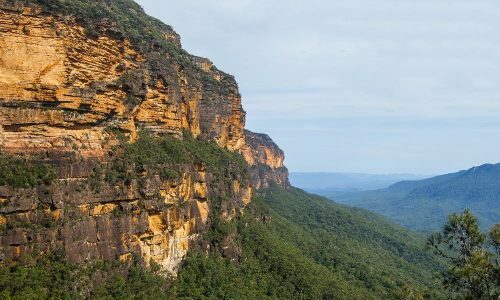 There are many other trails around the Wentworth Falls and in other locations in the Blue Mountains National Park, but after trying a couple, I can say for sure that the National Pass was my favorite one. 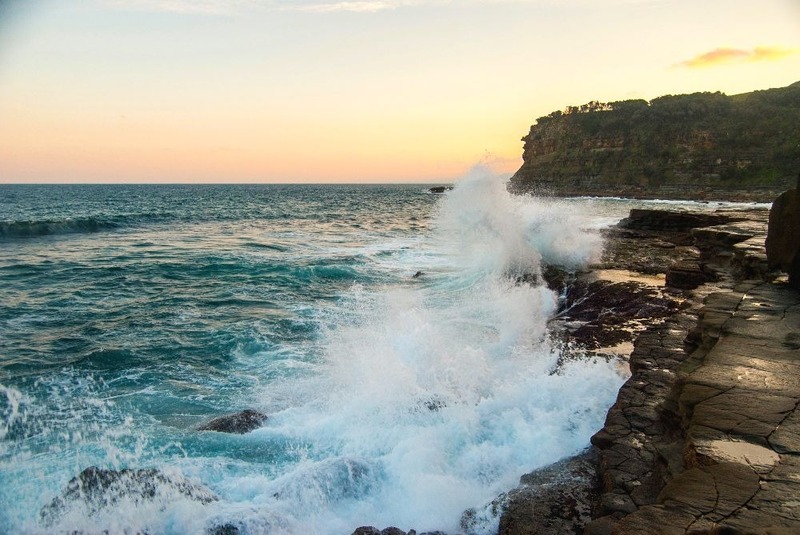 Just go, you won’t regret it! 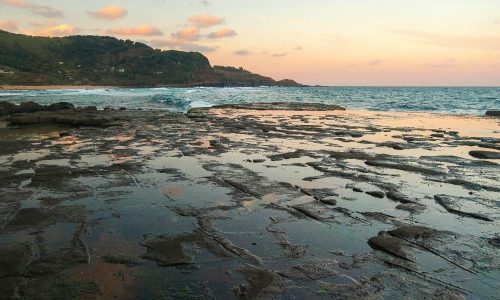 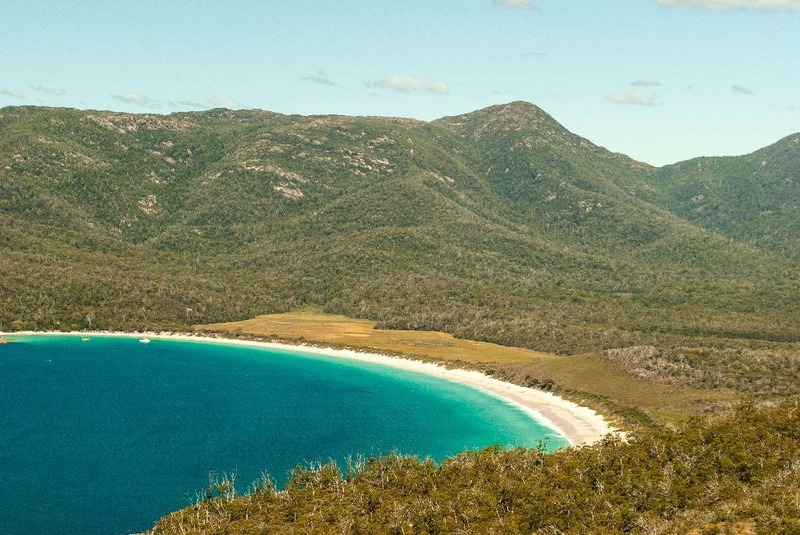 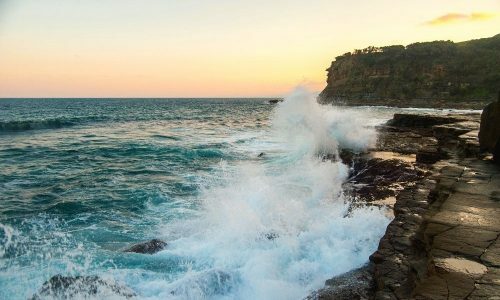 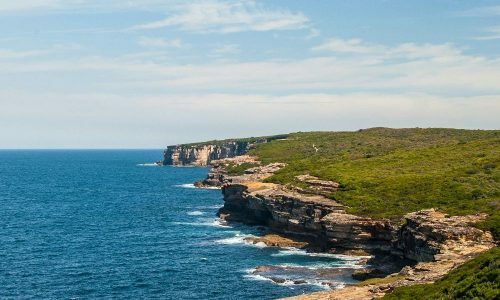 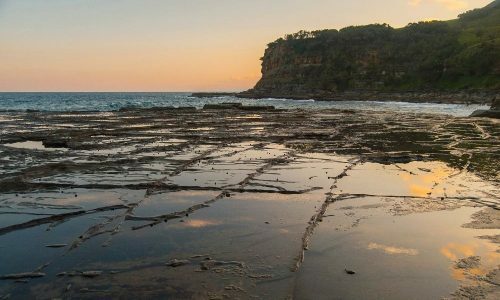 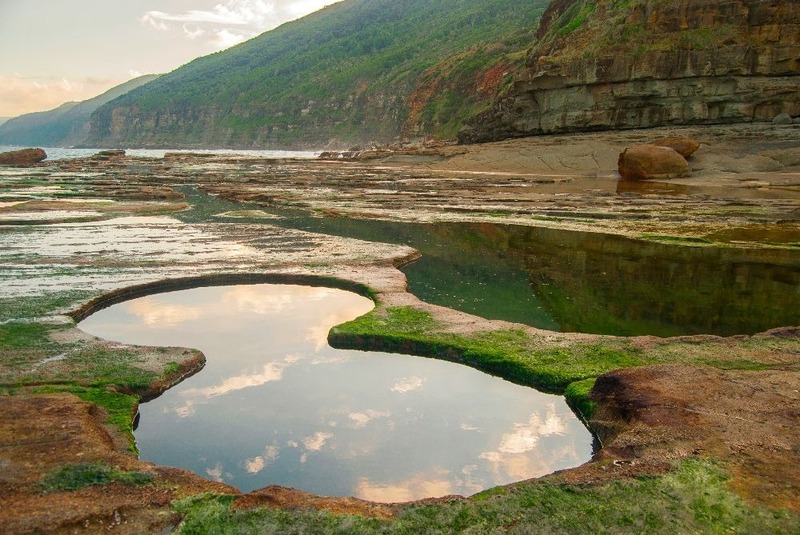 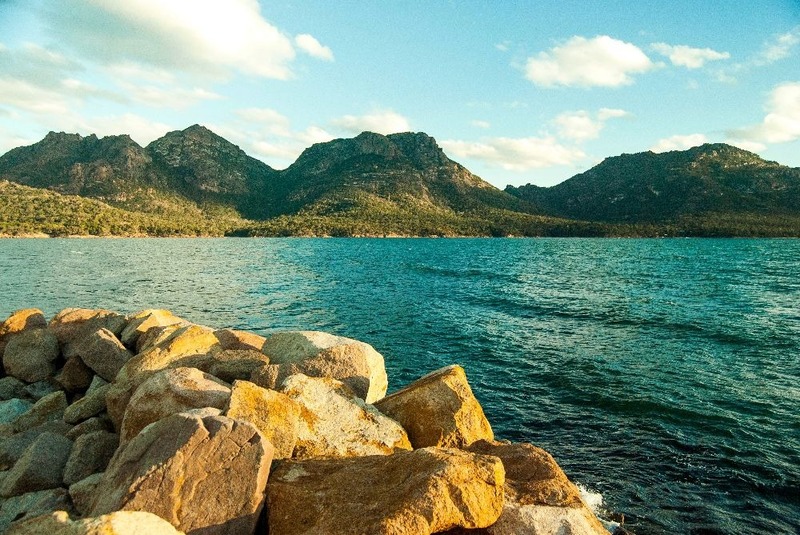 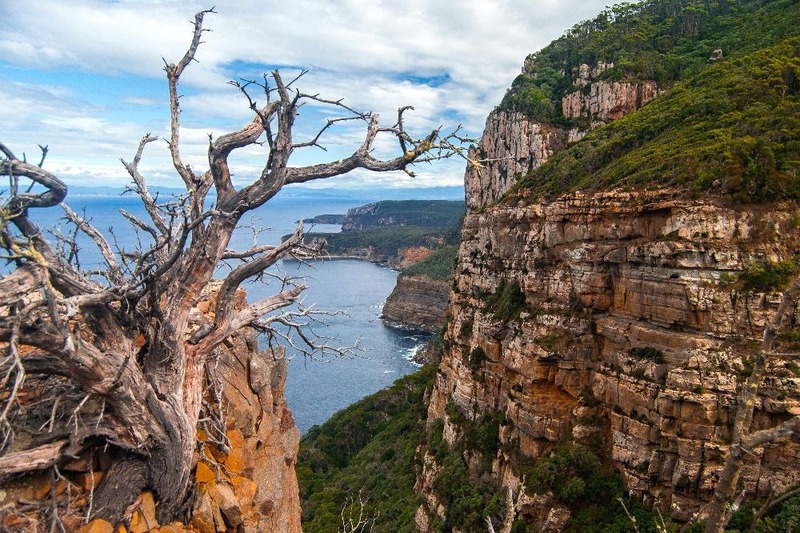 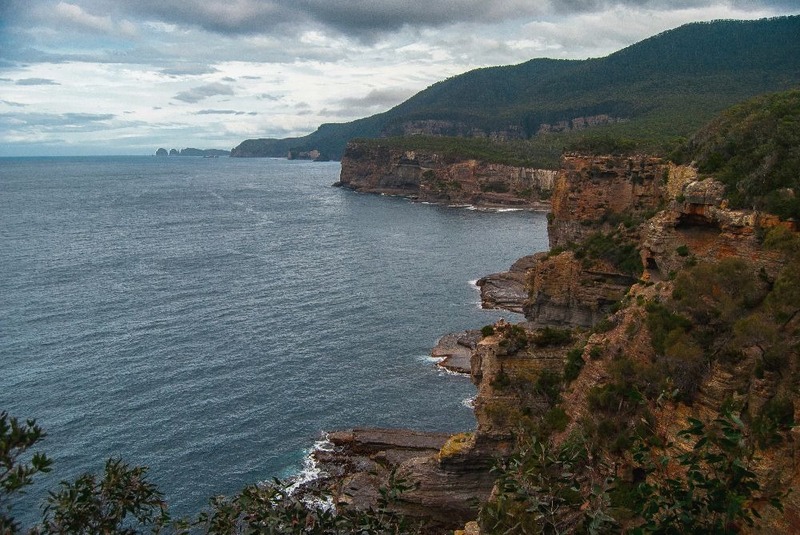 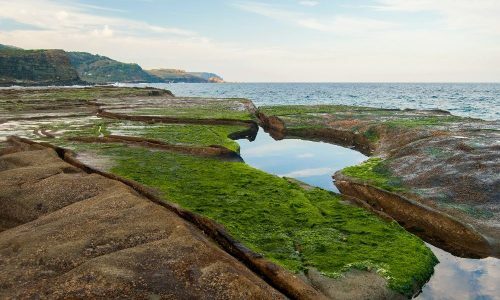 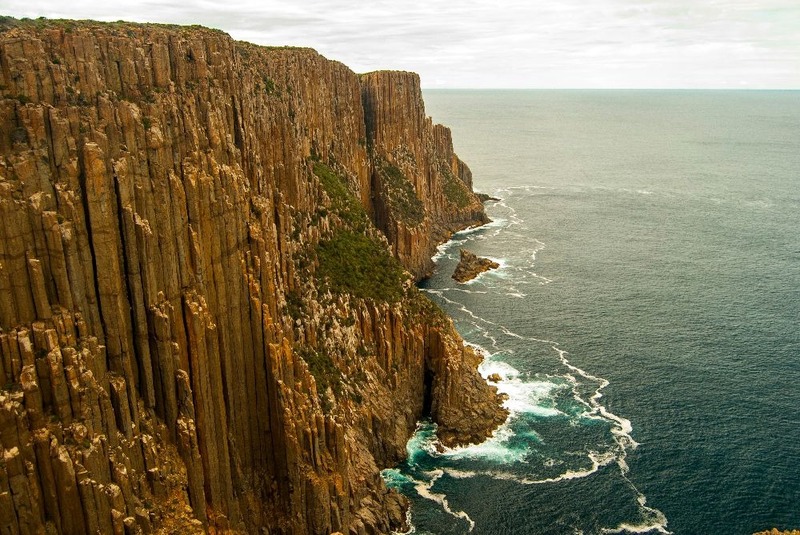 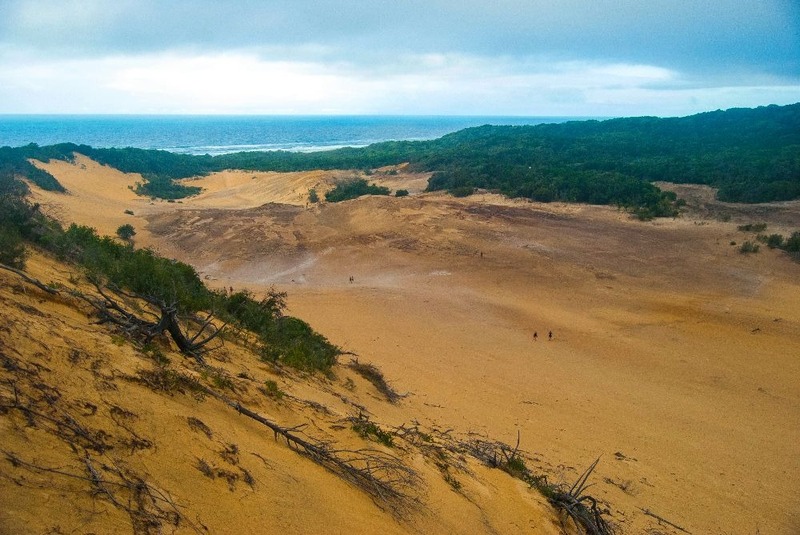 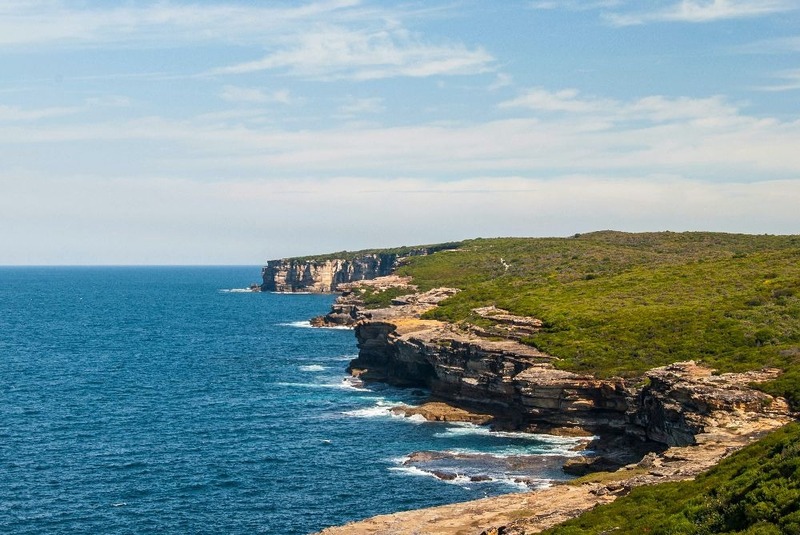 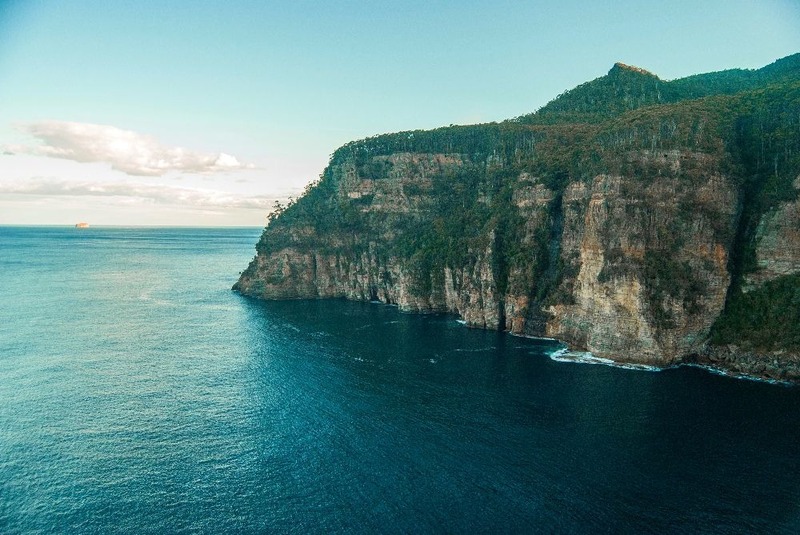 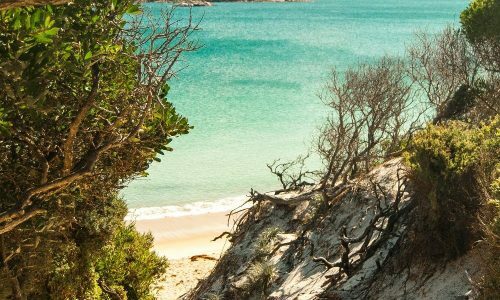 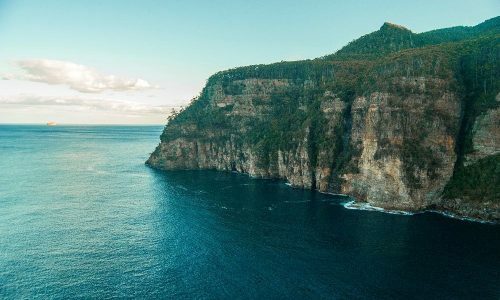 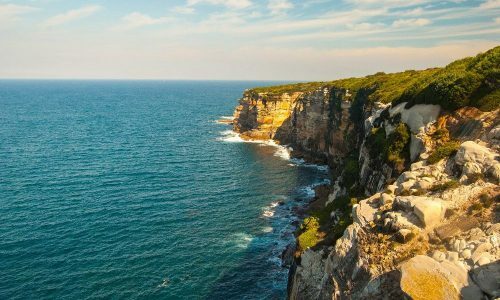 The Royal National Park is a true gem located just an hour drive away from Sydney. 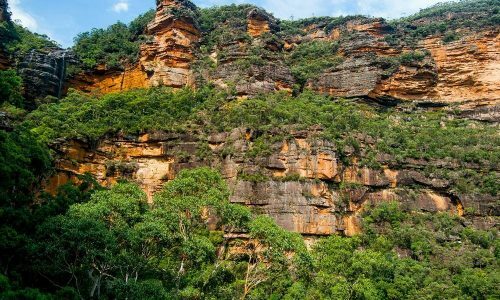 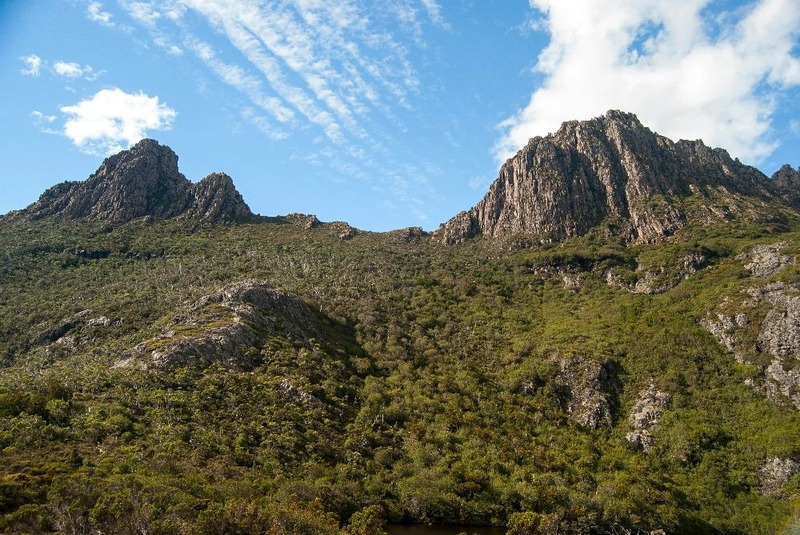 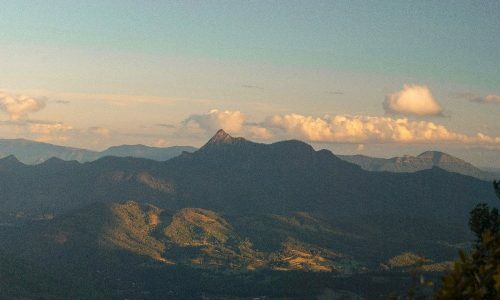 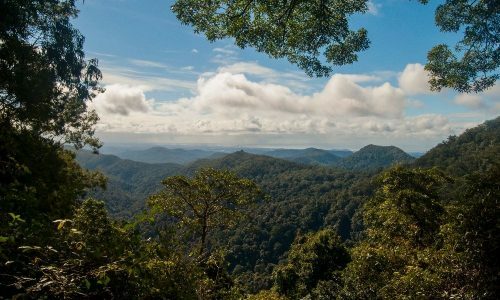 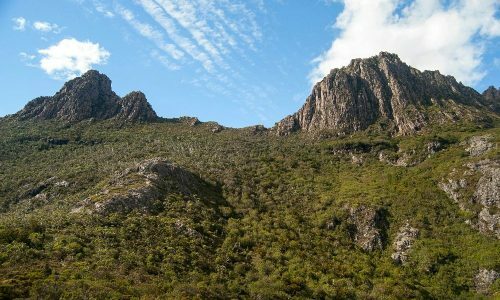 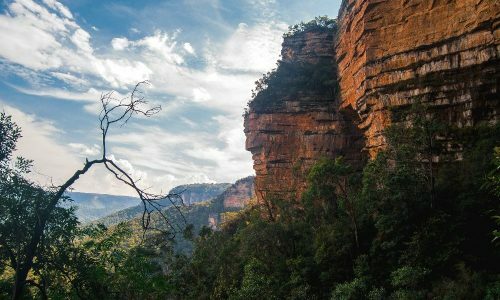 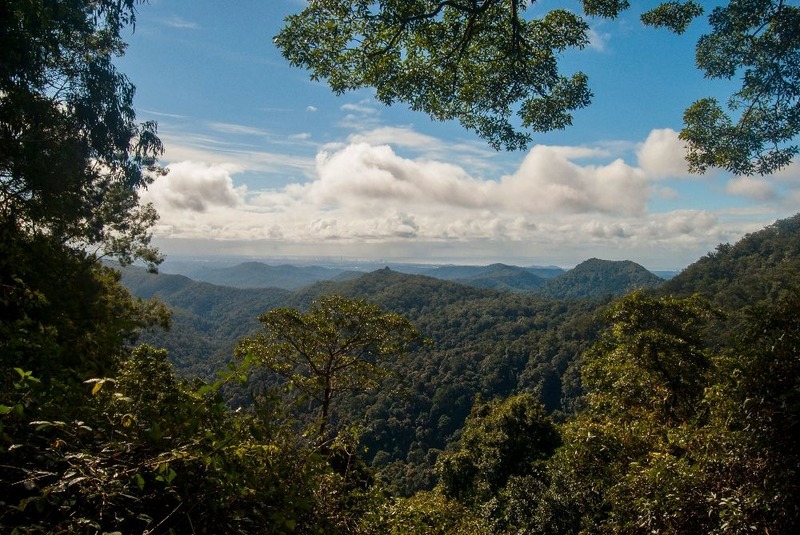 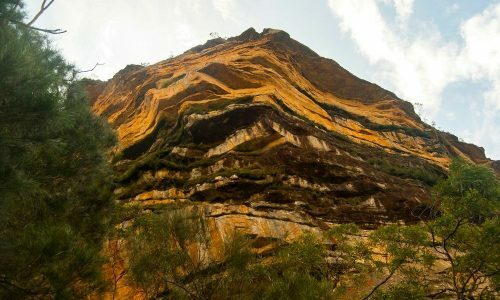 Along with the Blue Mountains National Park, I believe it is an absolute must for any nature lover to go for a hike there, whether it’s for a day or longer. 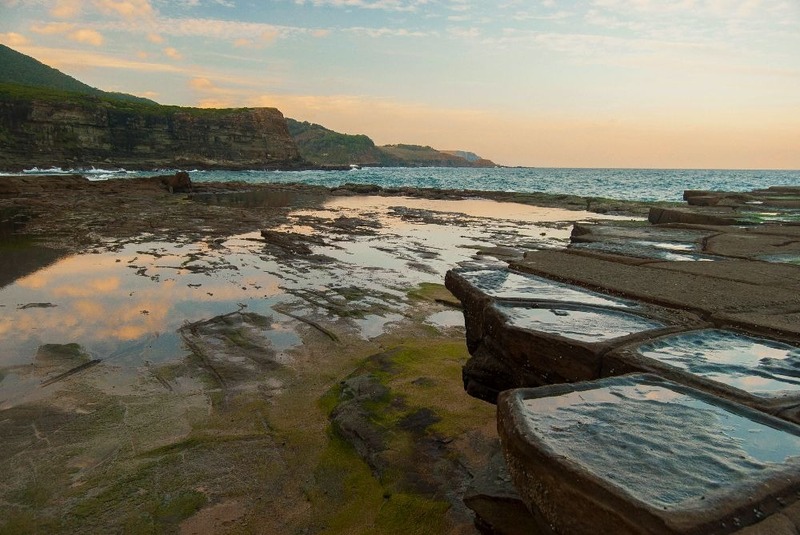 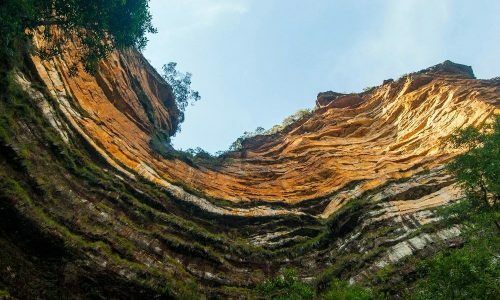 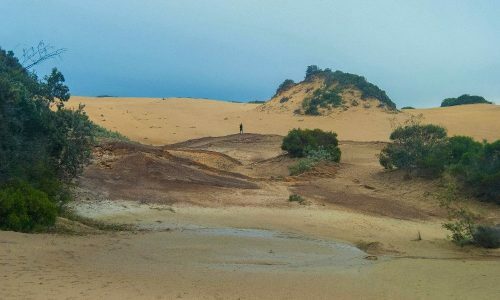 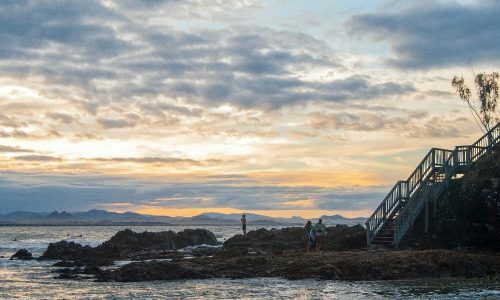 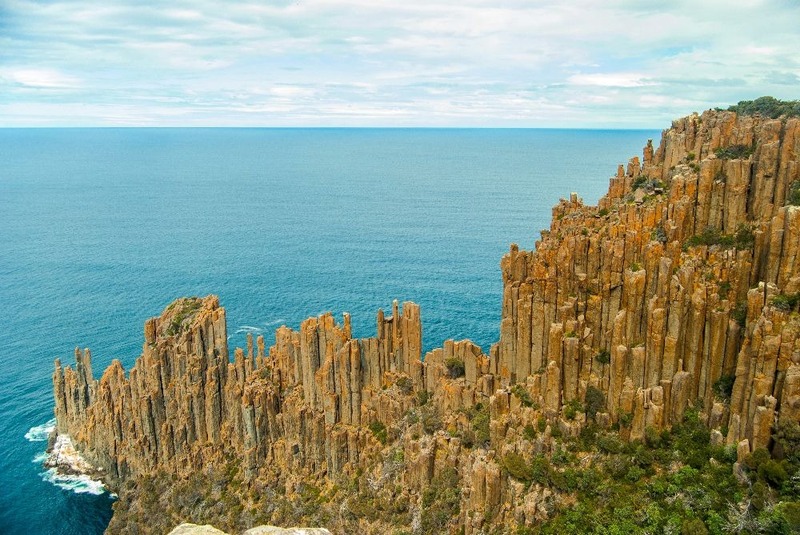 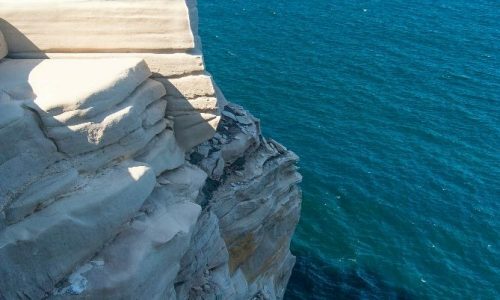 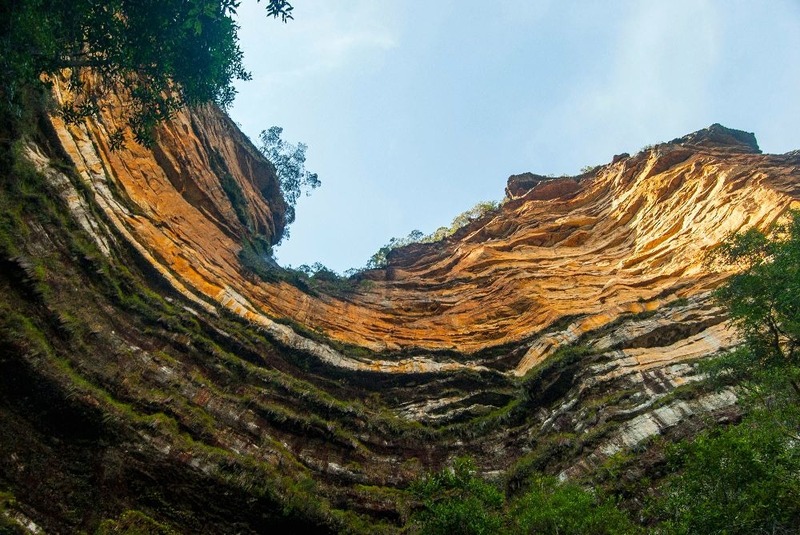 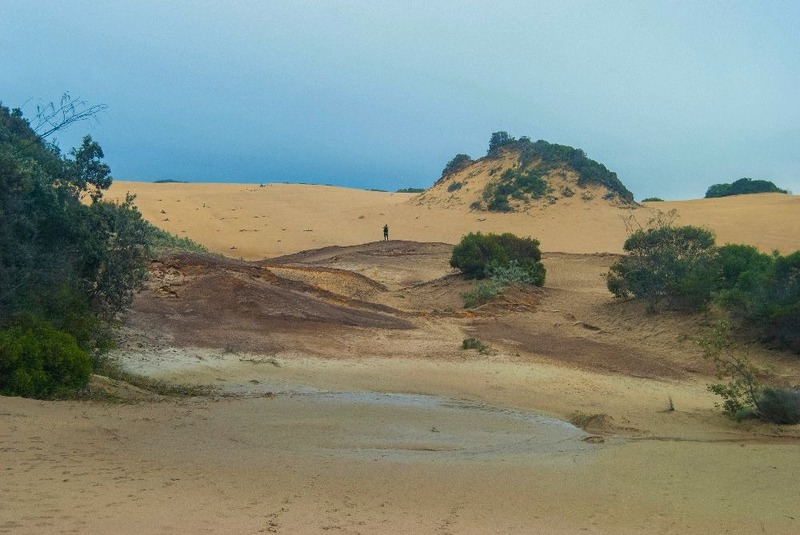 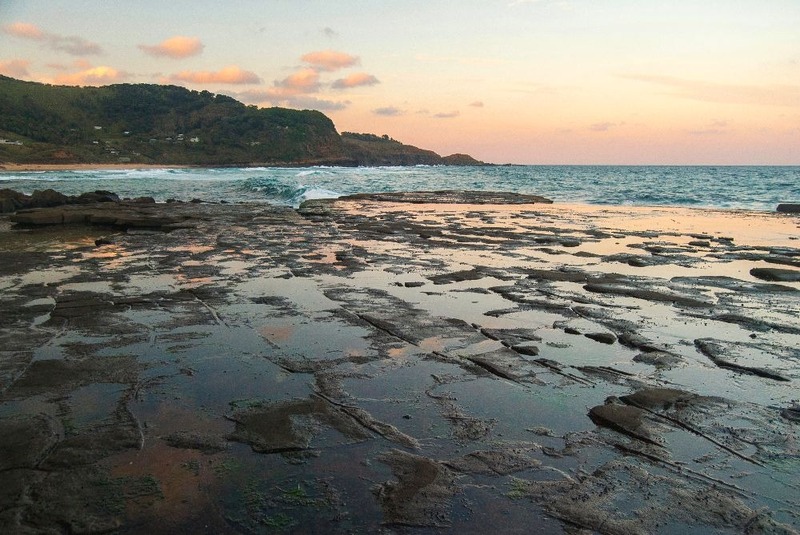 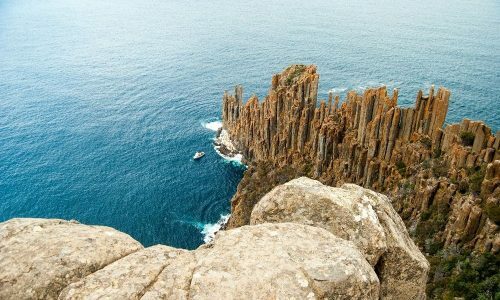 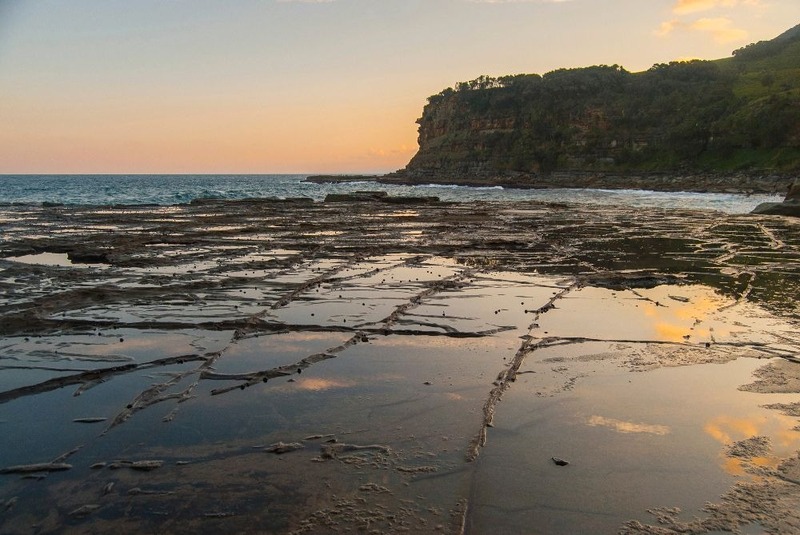 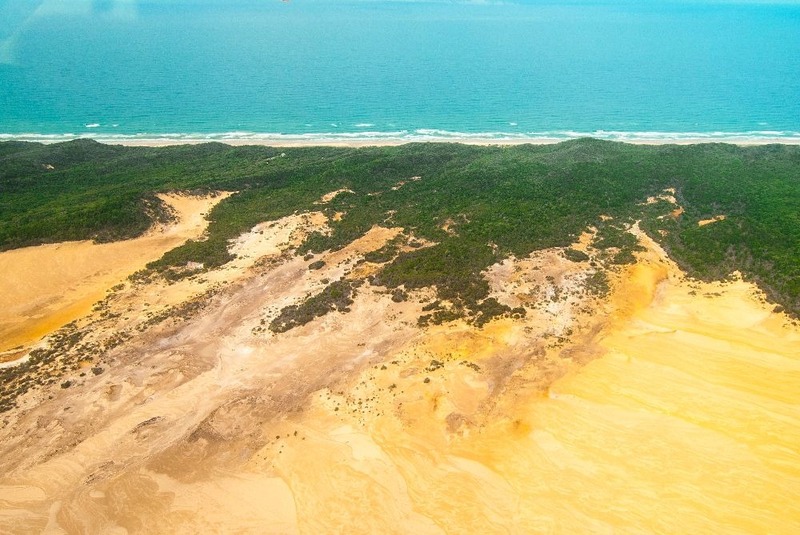 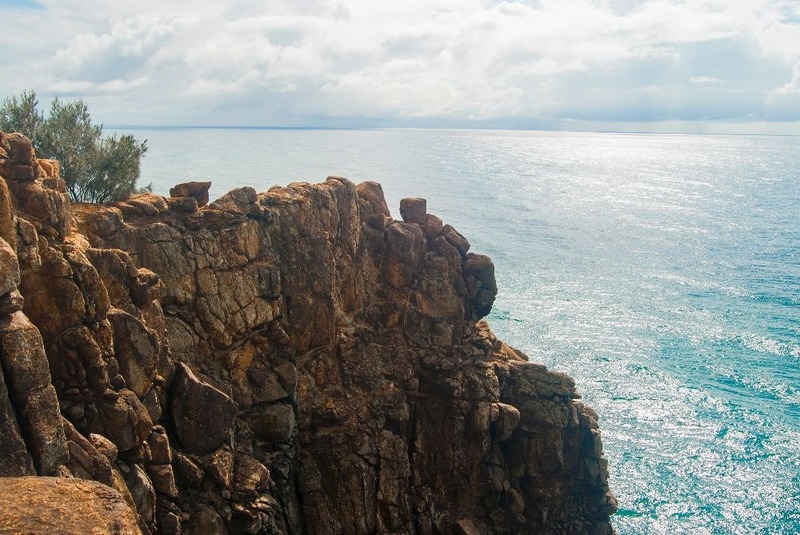 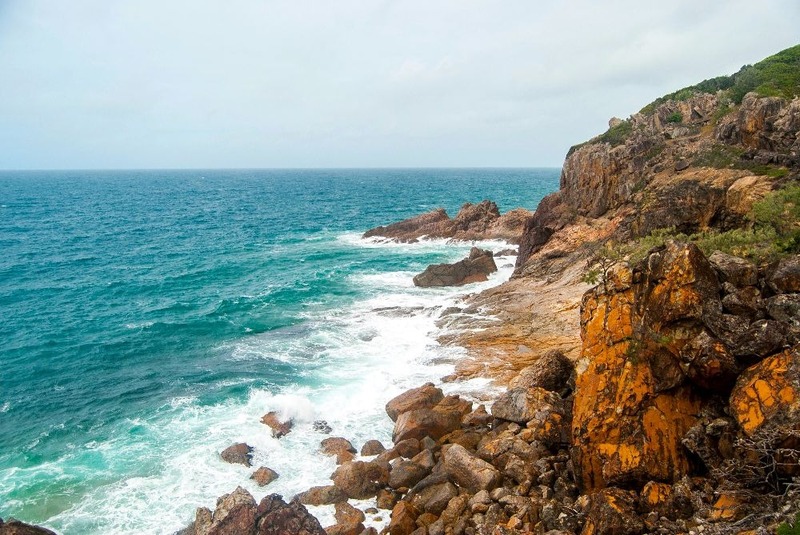 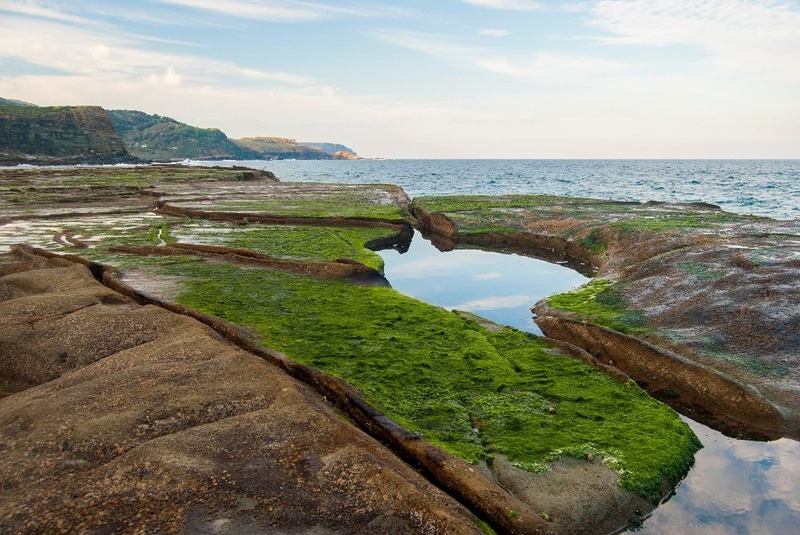 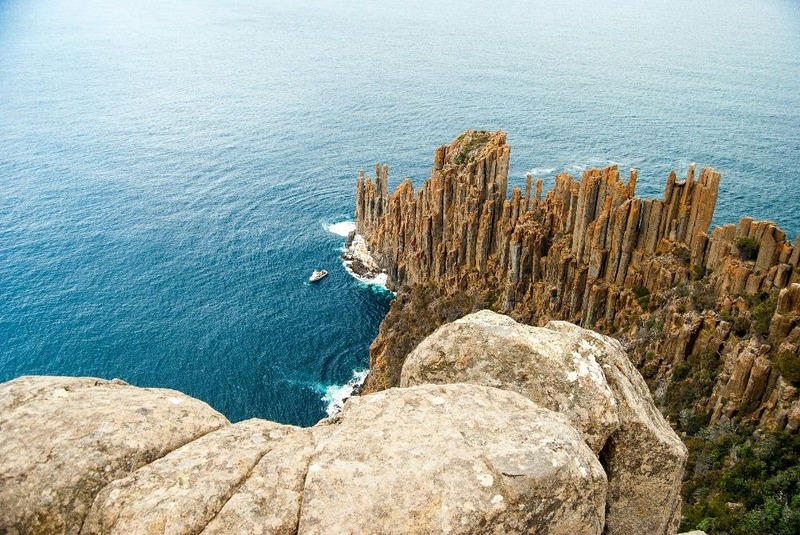 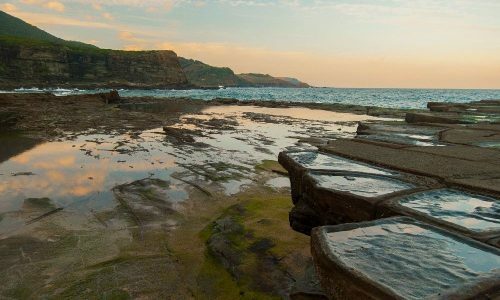 In addition to the stunning coastal walk, many famous Australian sights are located within the park, including the figure 8 pools and wedding cake rock. 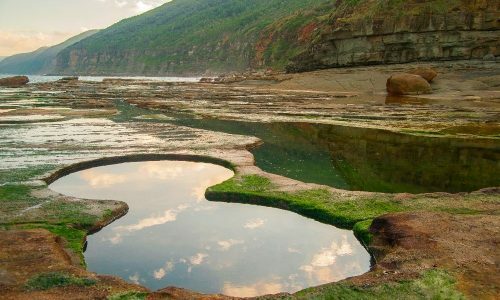 I would strongly recommend you to go with a car, especially if you only have a day to explore and want to see both the figure 8 pools and wedding cake rock. 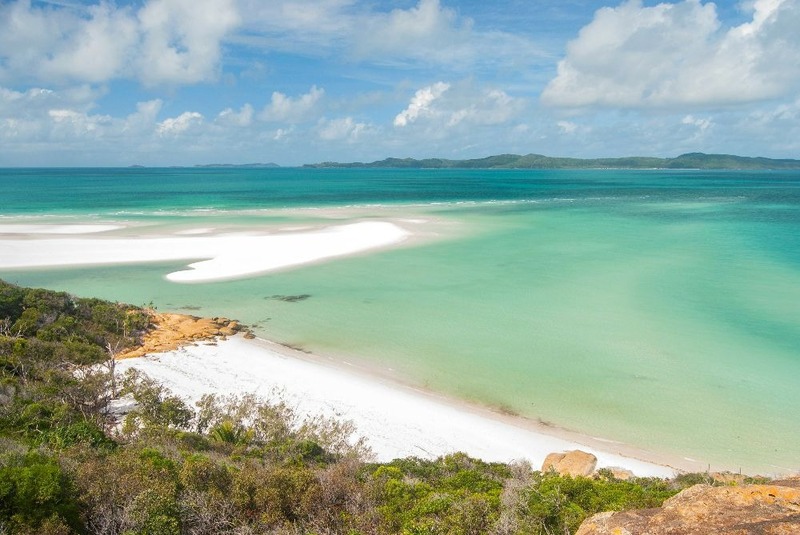 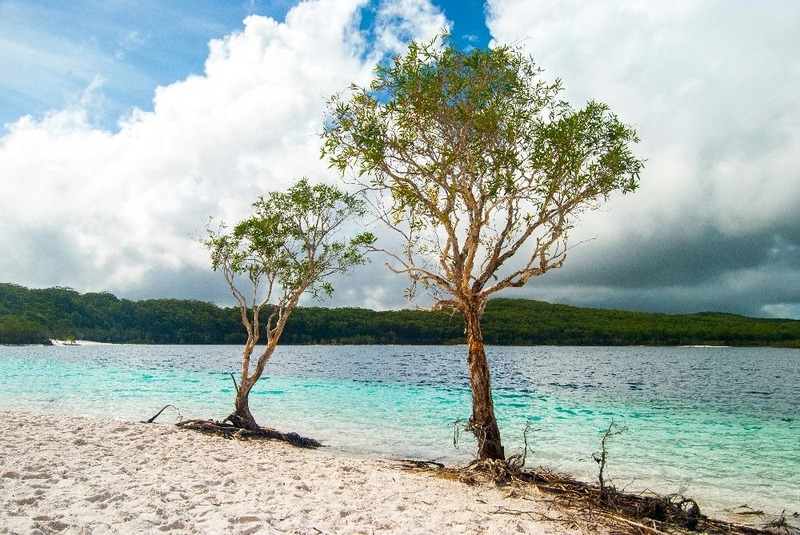 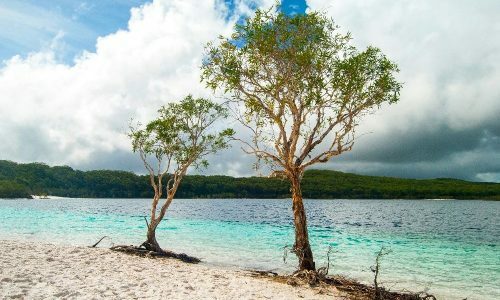 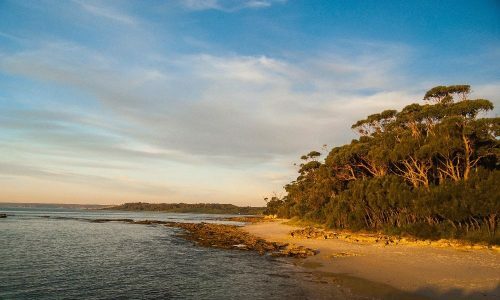 Jervis Bay was made famous for having the “whitest sand in the world”, and while it might not actually be the whitest sand in the world, it certainly looks like it is! 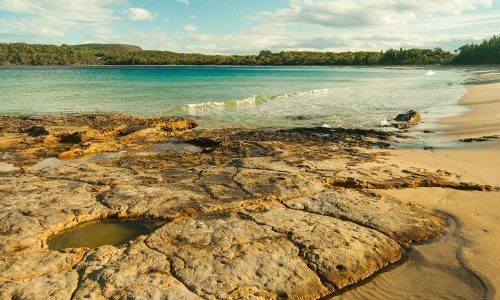 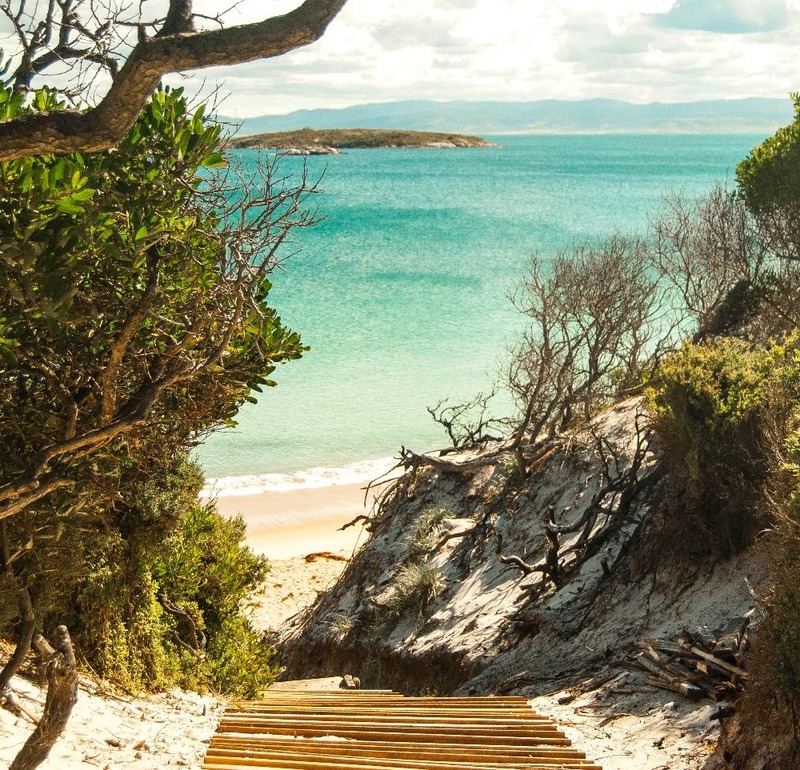 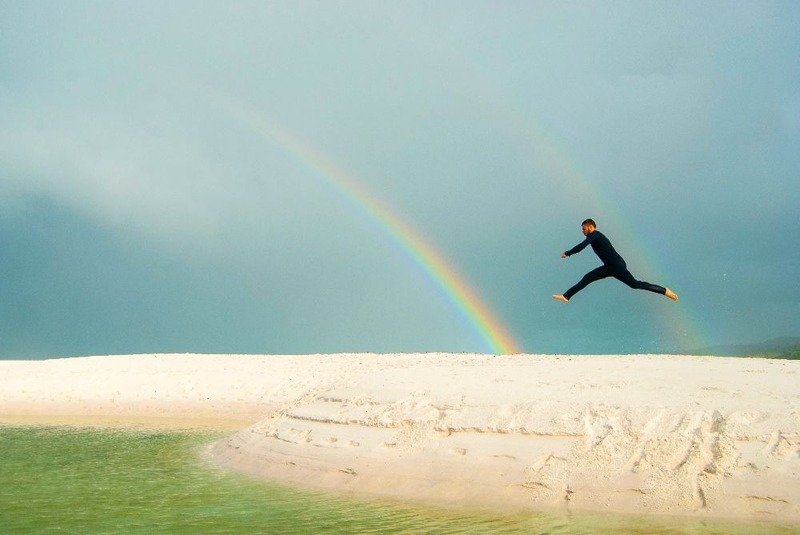 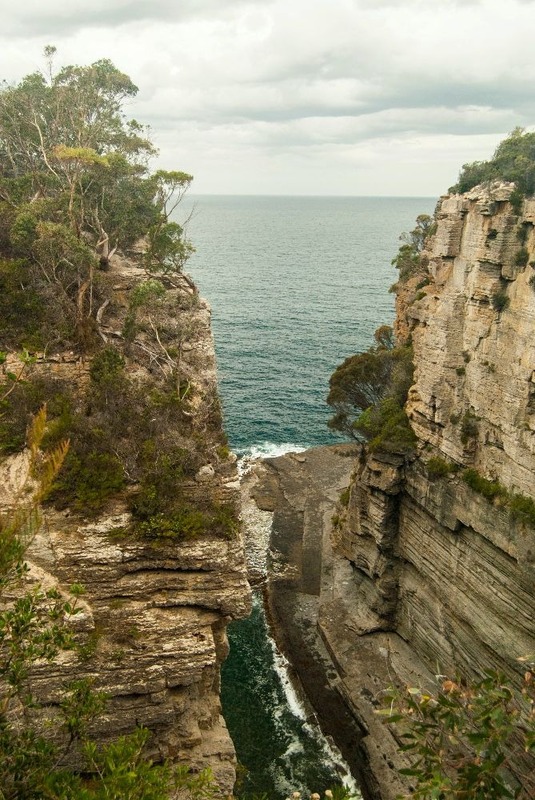 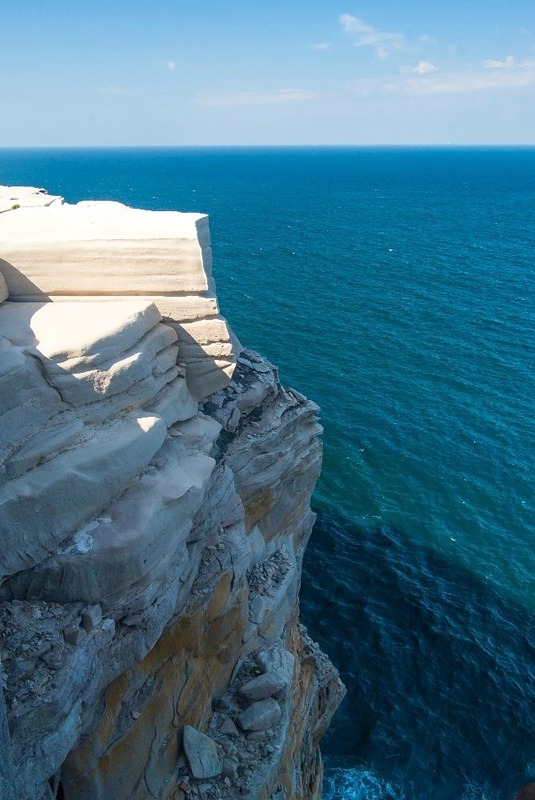 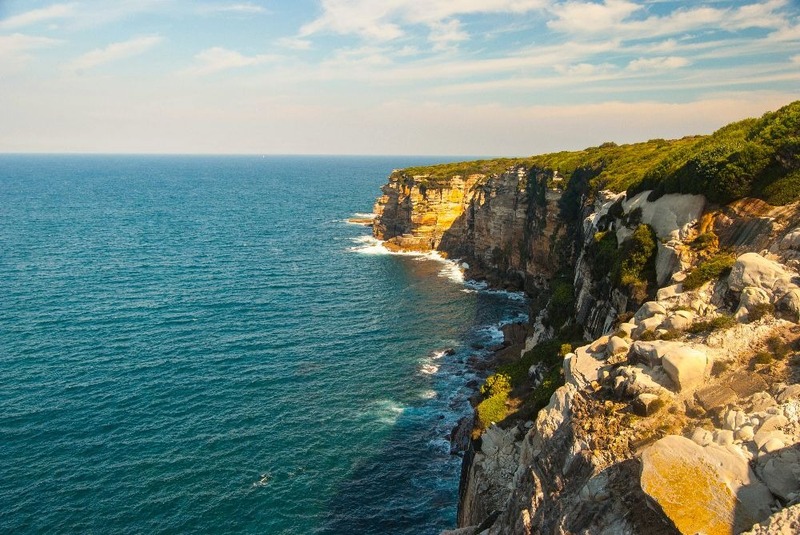 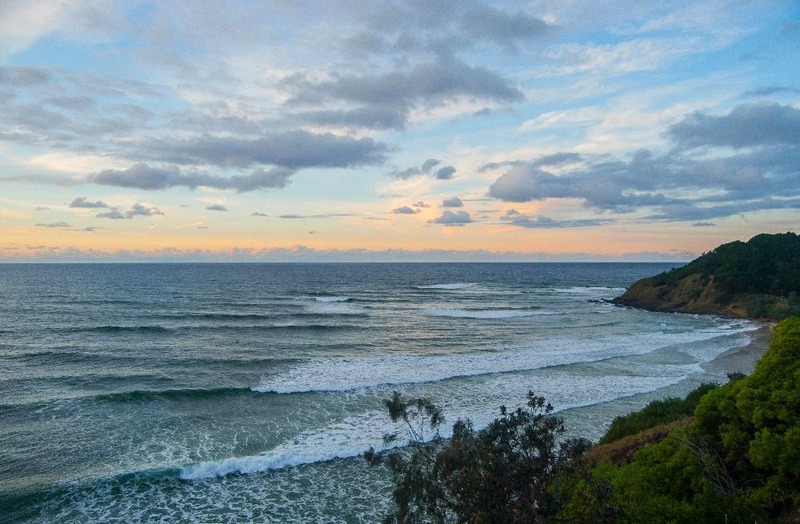 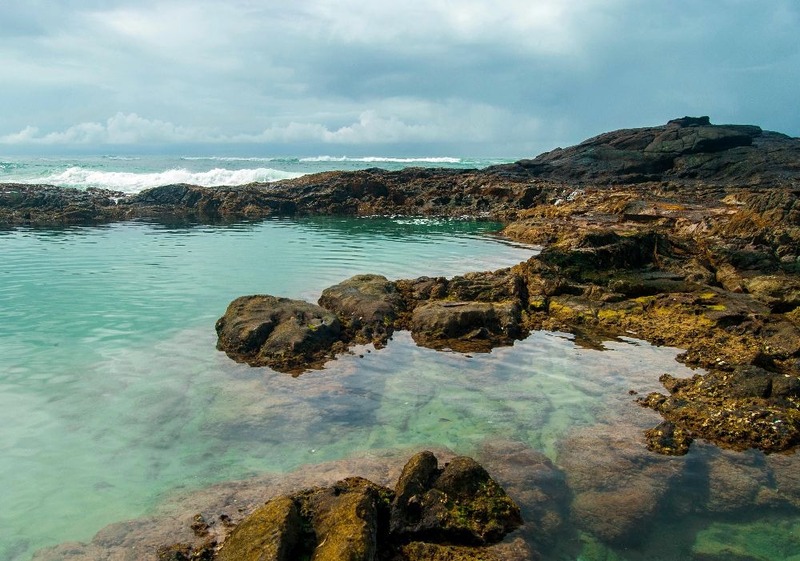 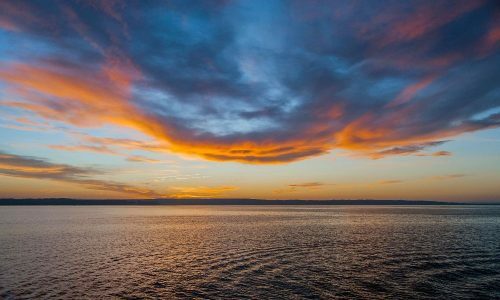 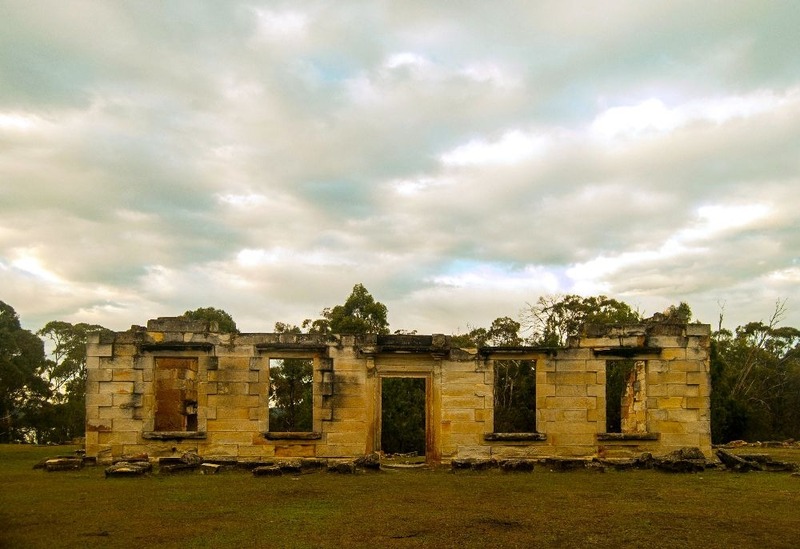 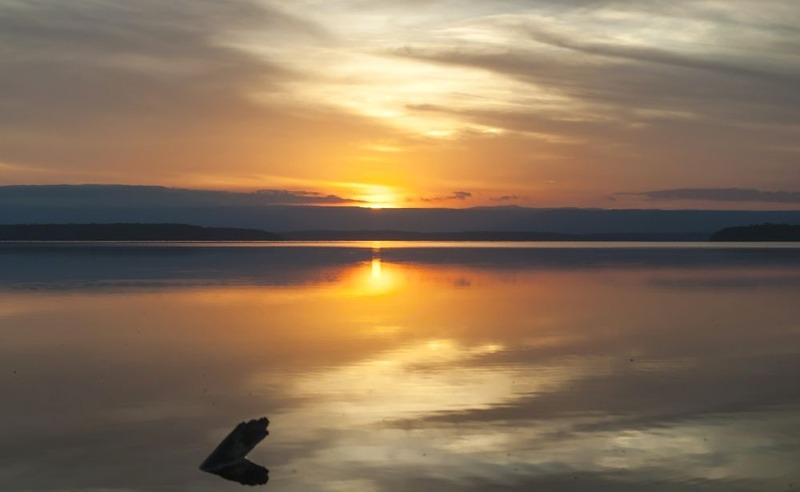 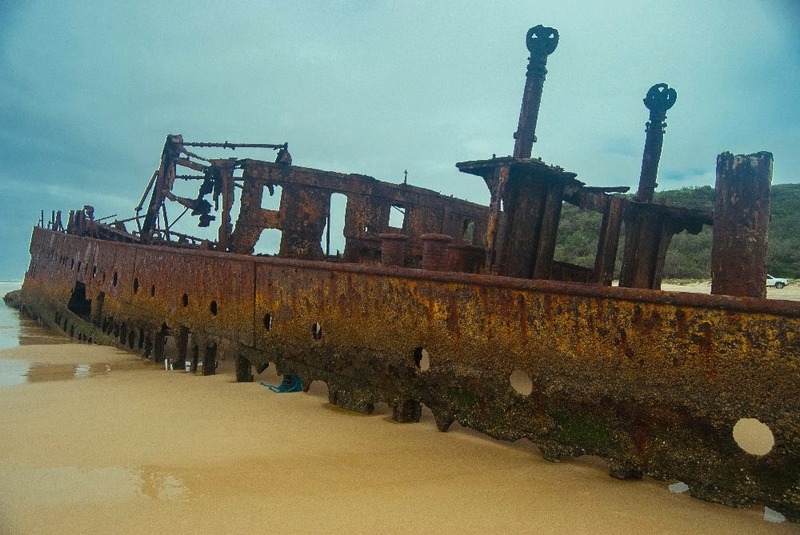 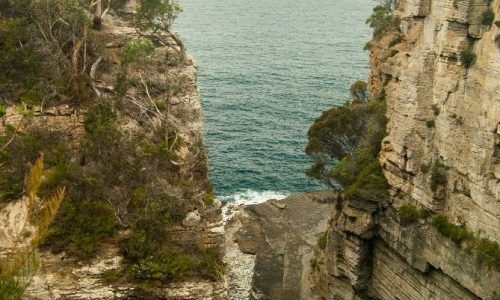 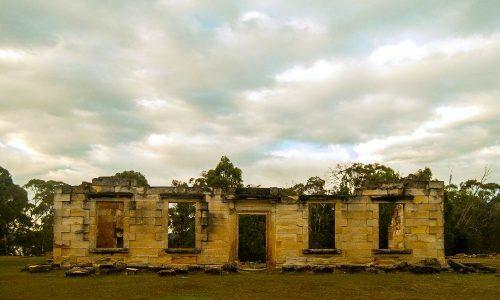 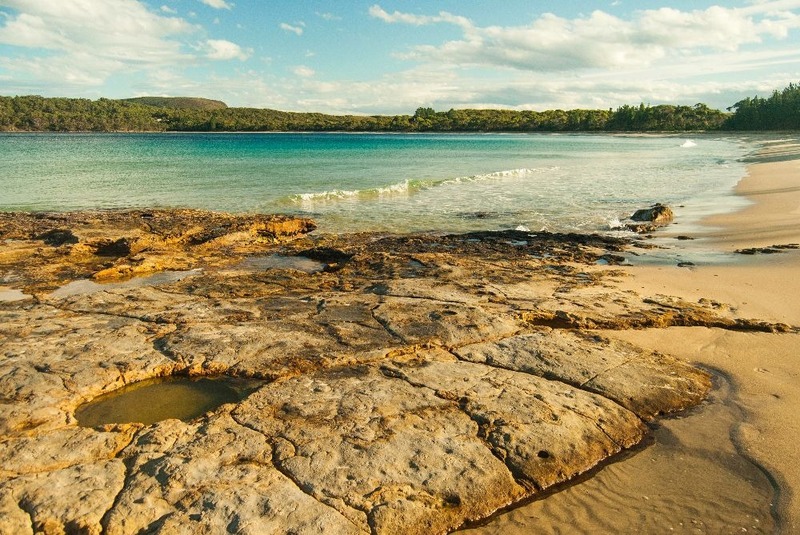 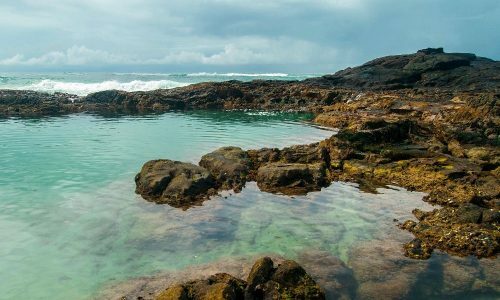 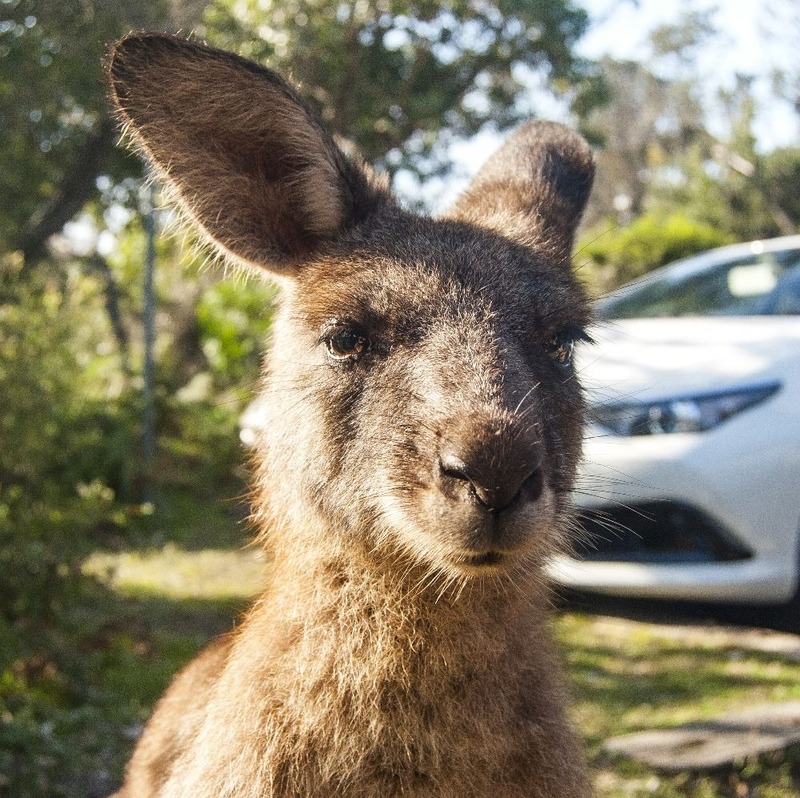 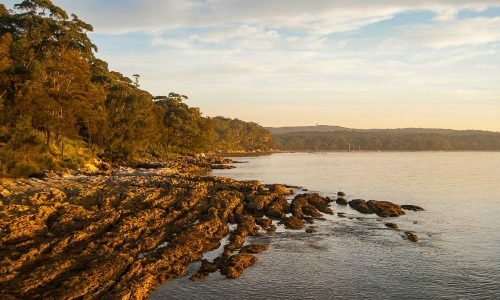 Jervis Bay is a perfect weekend getaway or couple-day stop on an Australian road trip. 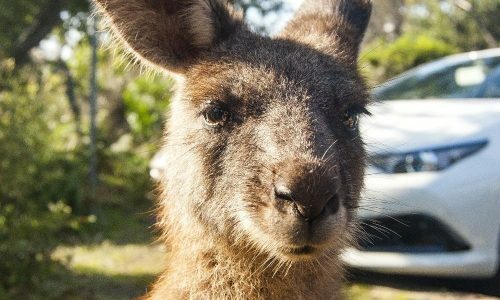 If you dream of seeing a kangaroo up close, you won’t be disappointed! 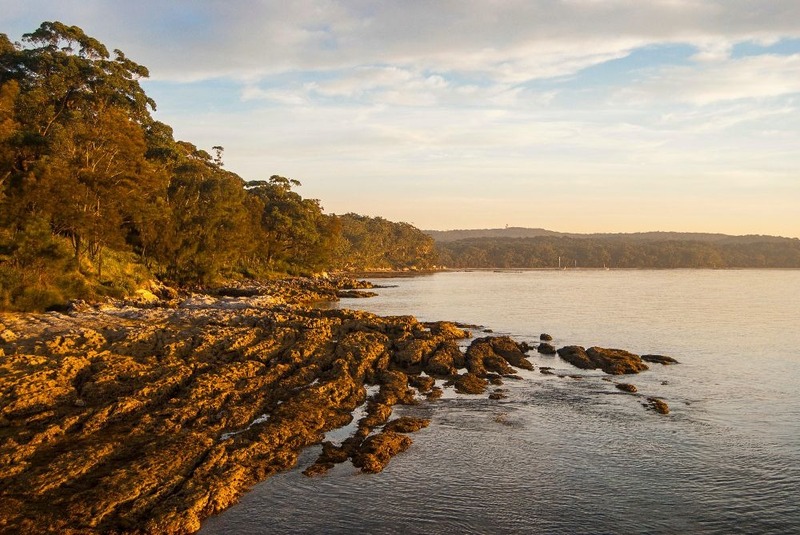 Jervis Bay is also located near Mt. 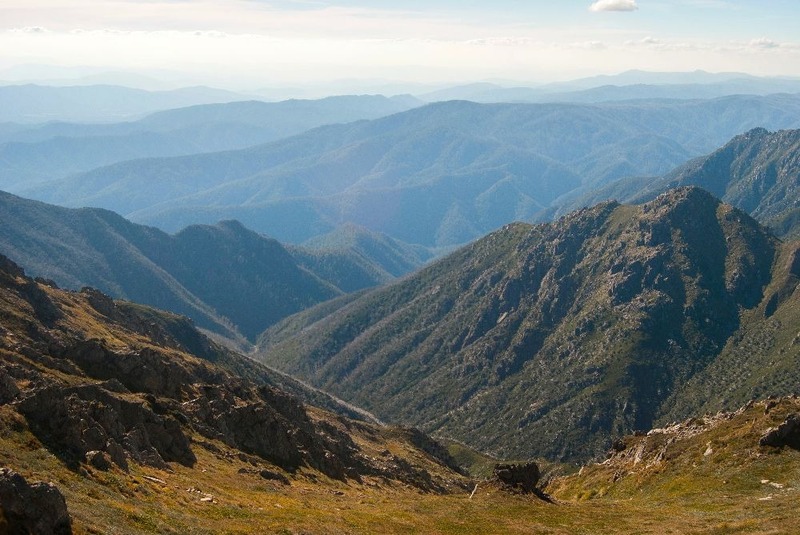 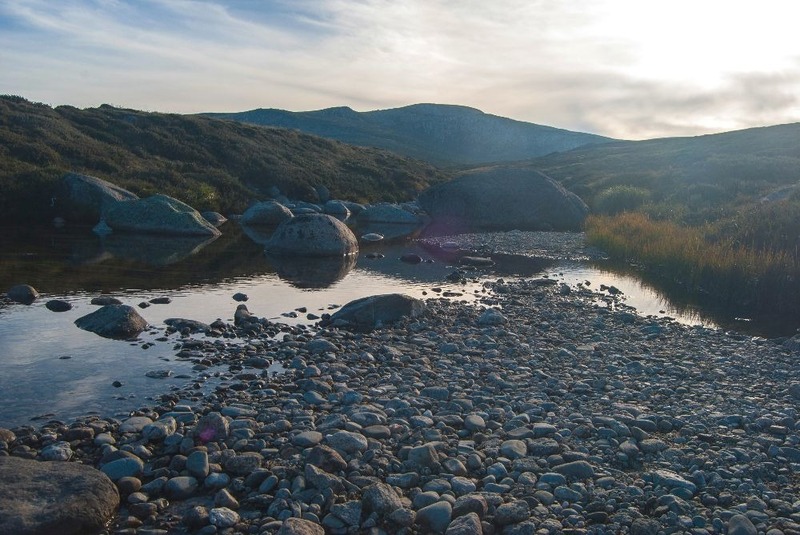 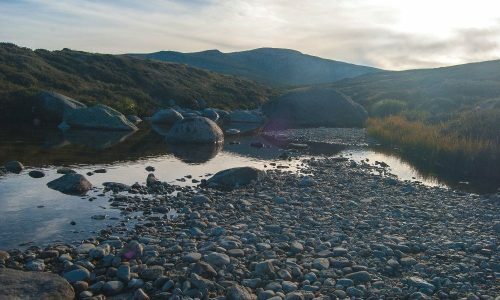 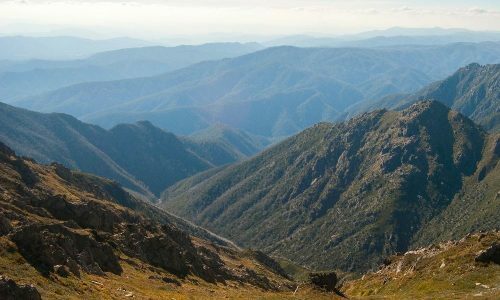 Kosciuszko, the highest mountain in Australia, where you can go for a cool day hike if you feel like doing a little bit of exercise. 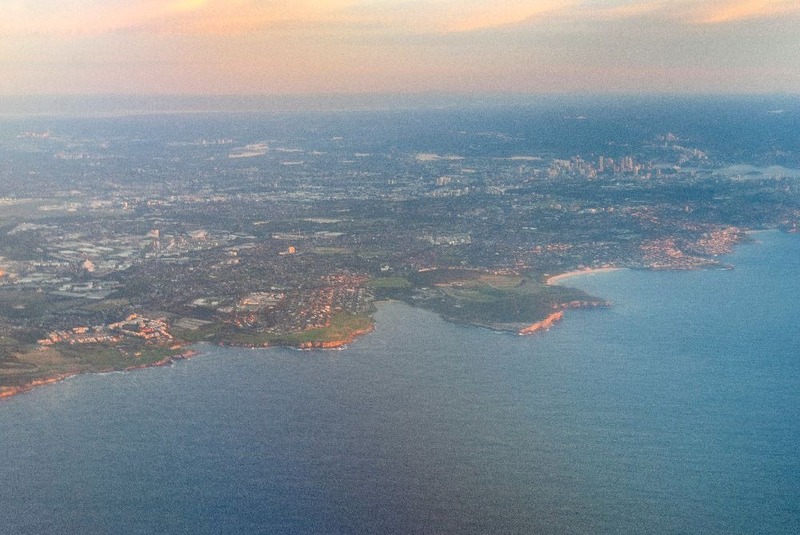 Melbourne was my first stop when I arrived in Australia. 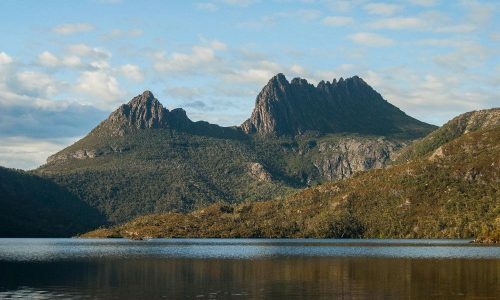 Back at the time, I wasn’t taking many pictures as I really started developing my interest while I was traveling in Tasmania a month later. 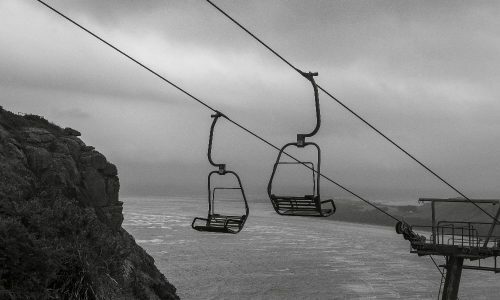 Therefore, I only have two pictures from the region to show. 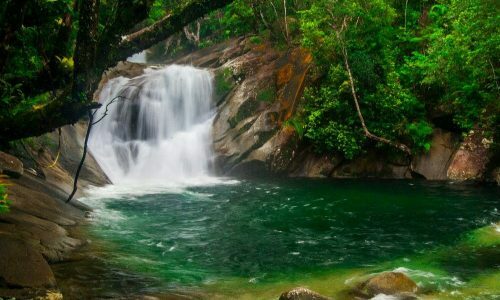 Believe me, if I were to go back there today, there would be dozens of pictures in this section! 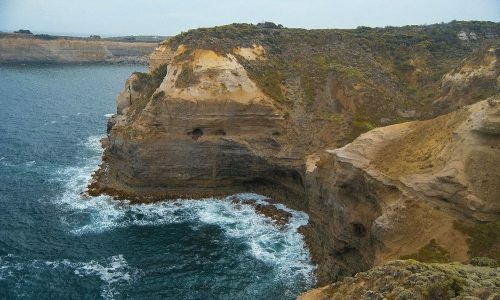 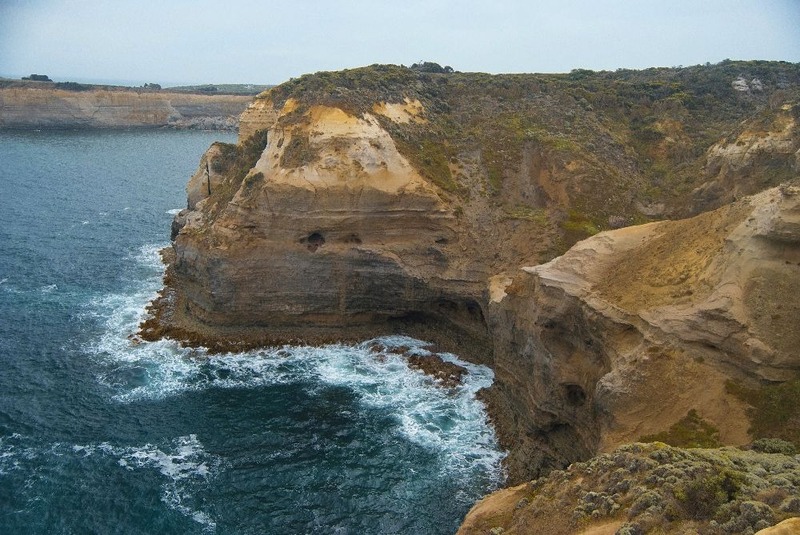 Victoria is stunning, from Melbourne to the famous Great Ocean Road, and it should be on every traveler’s list. 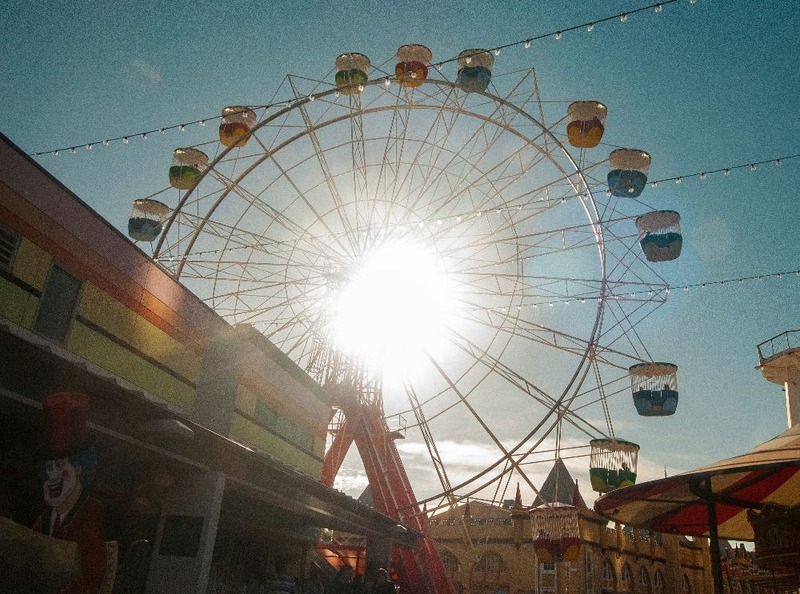 Oh, and when you’re in Melbourne, try to grab lunch at 8-bit burger… You won’t regret it! 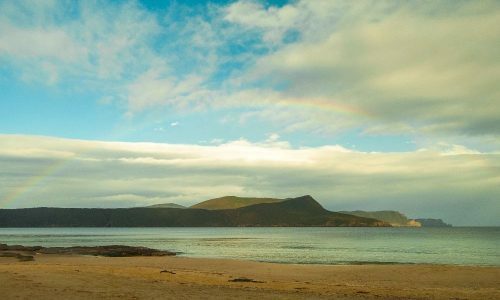 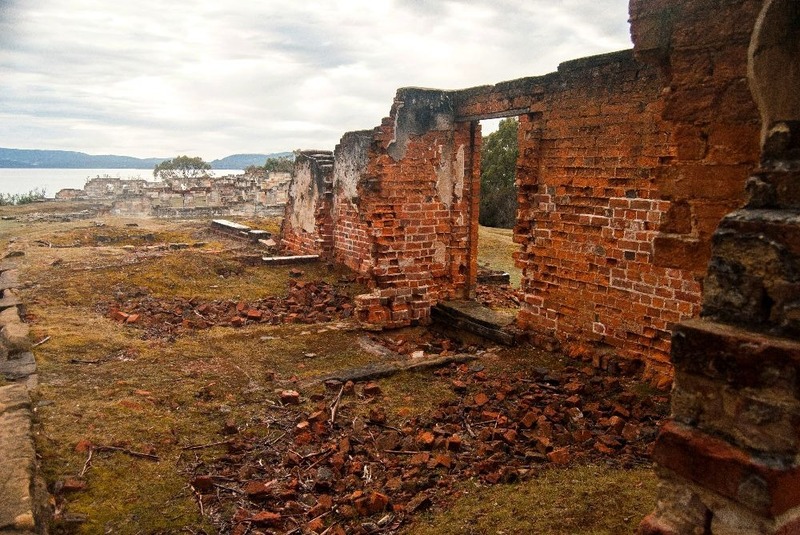 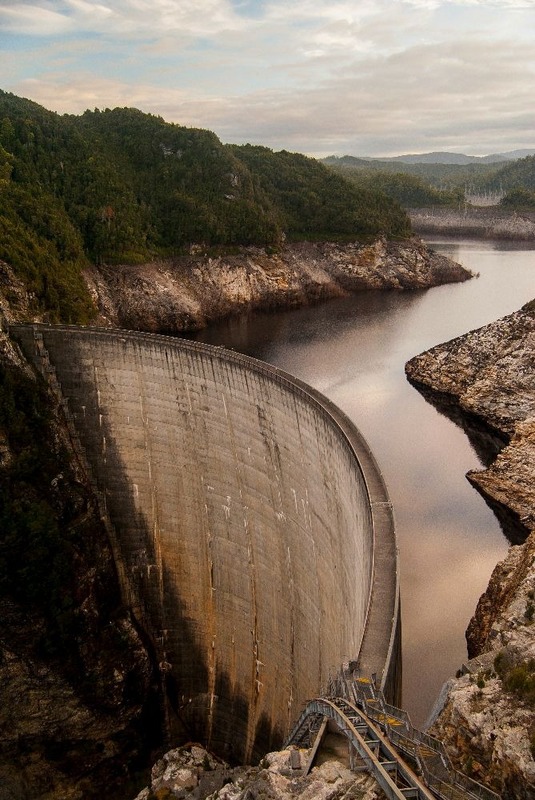 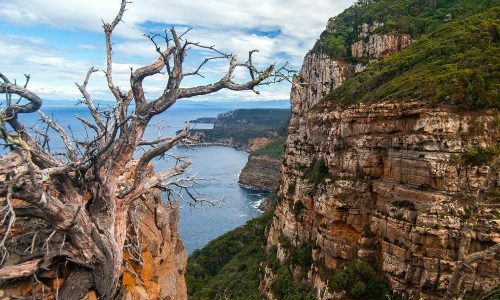 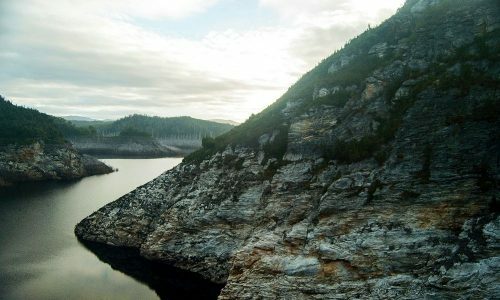 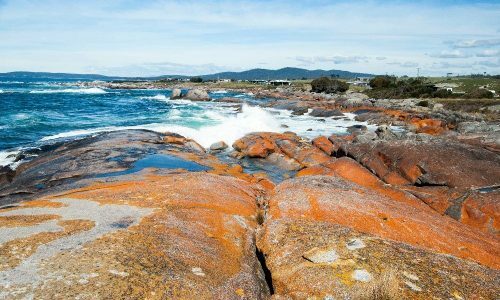 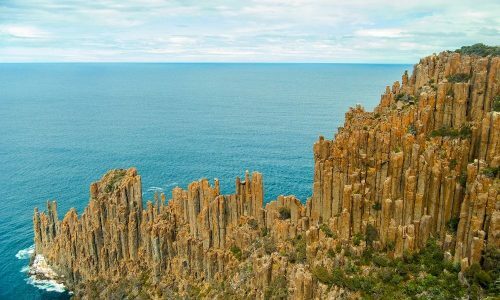 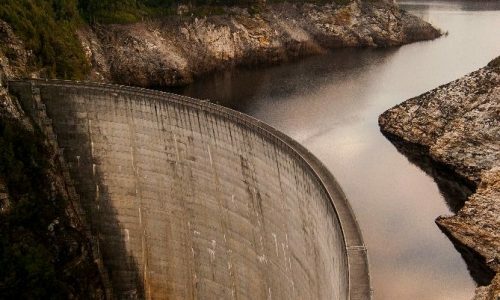 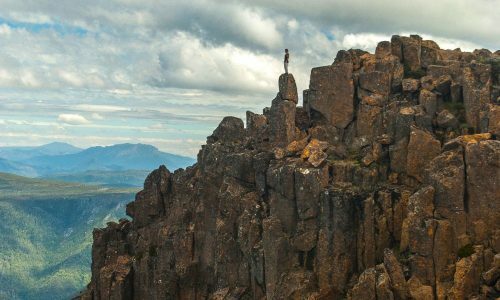 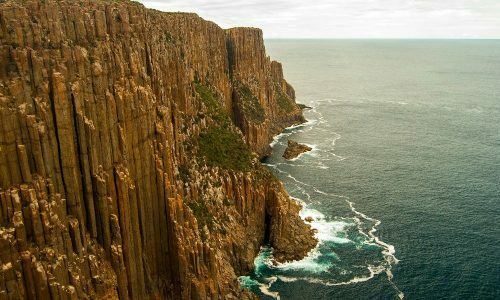 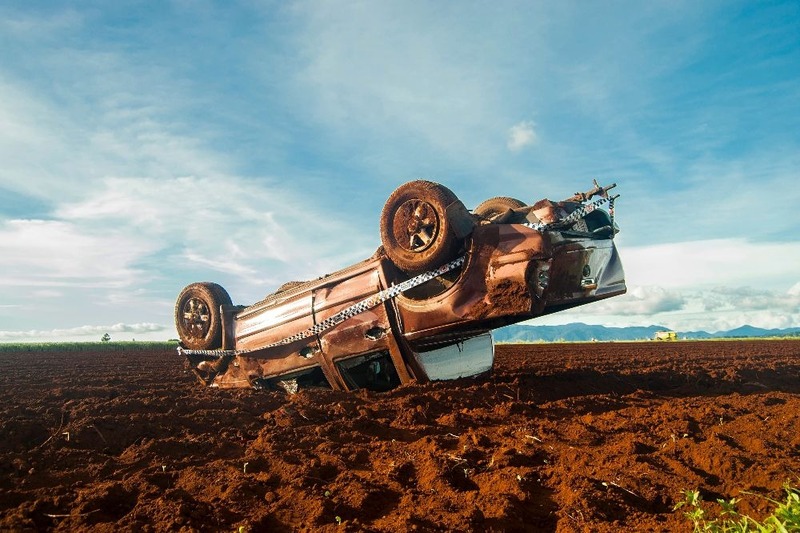 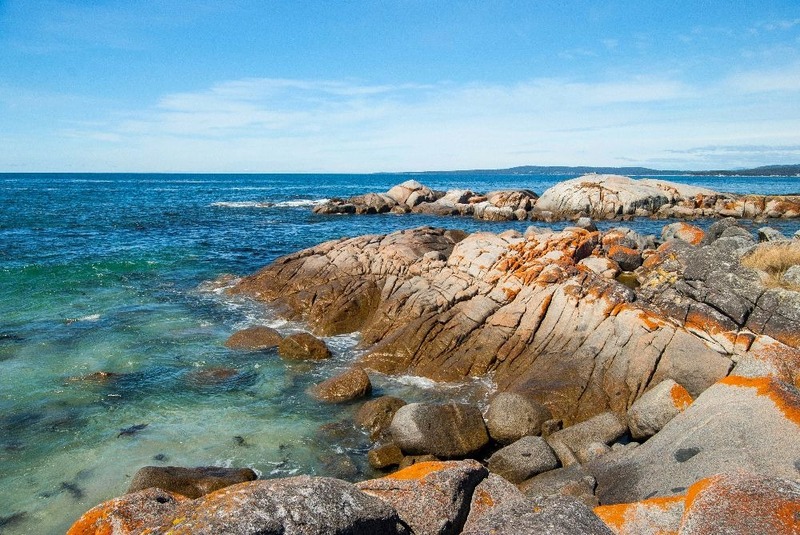 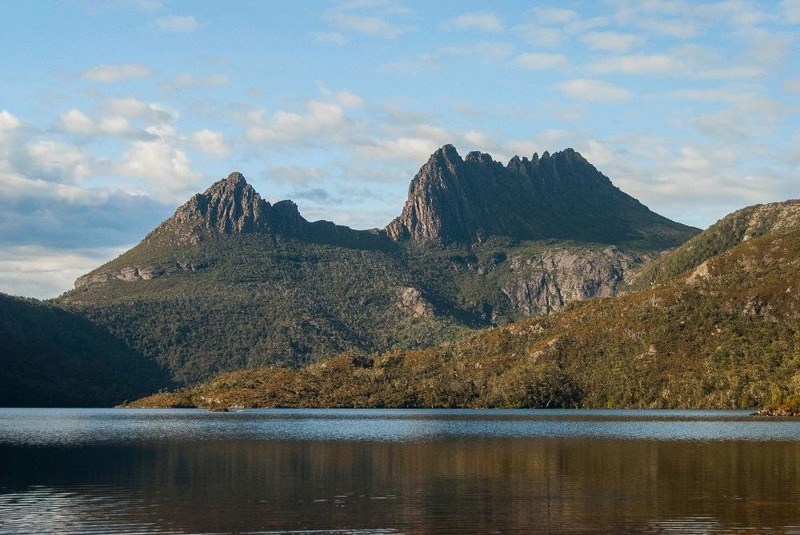 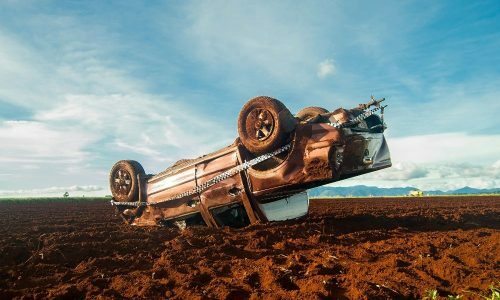 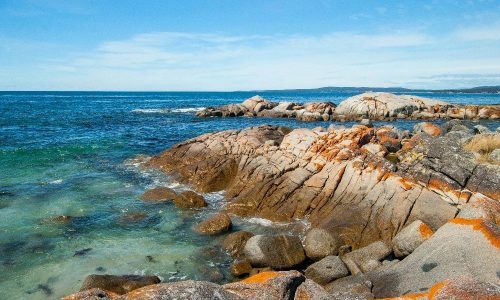 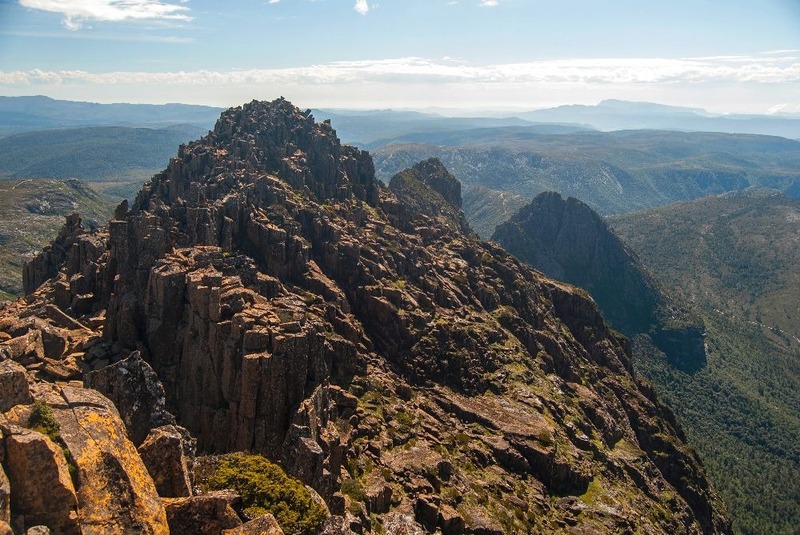 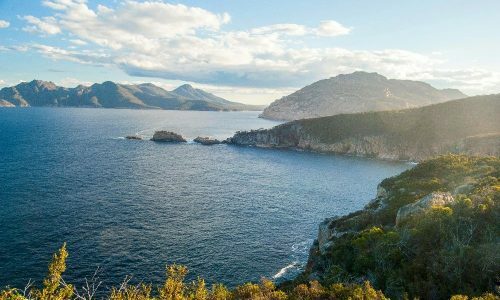 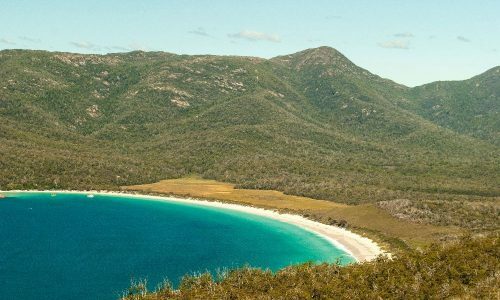 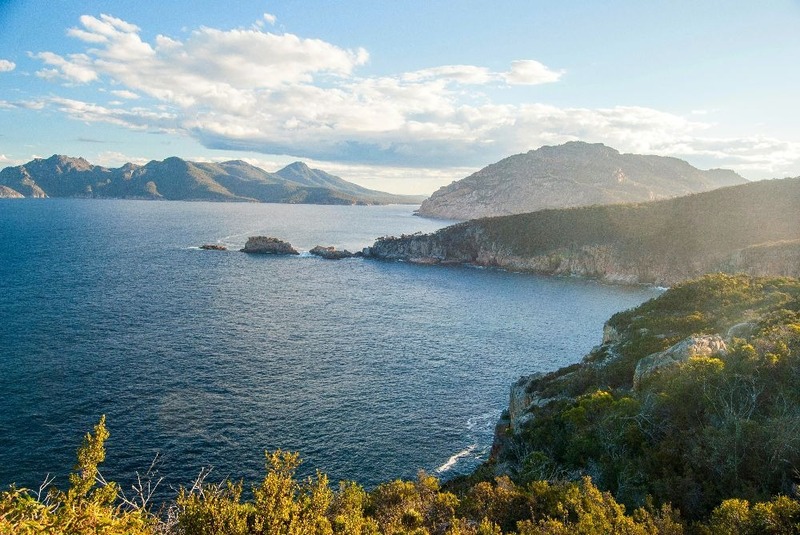 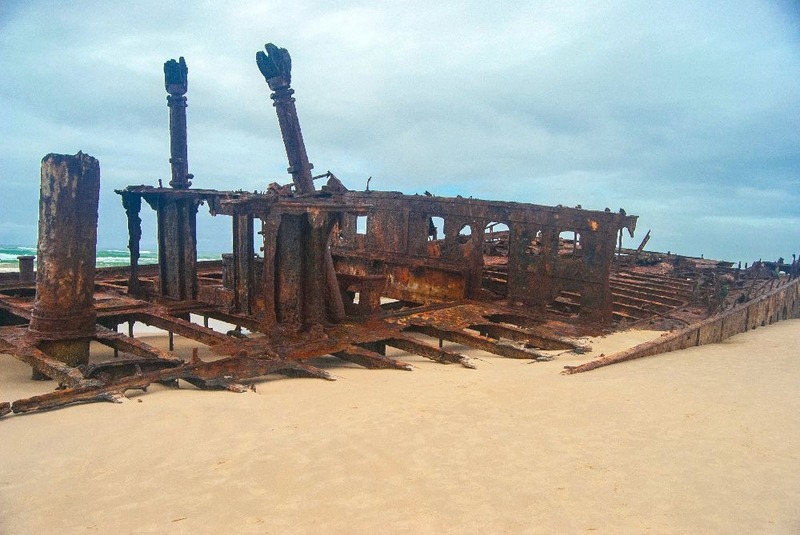 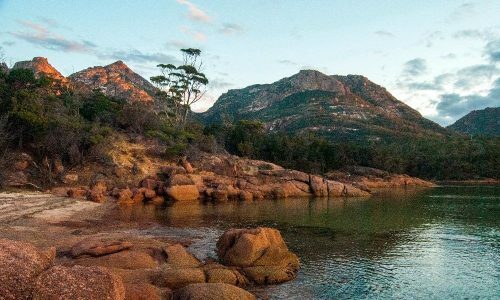 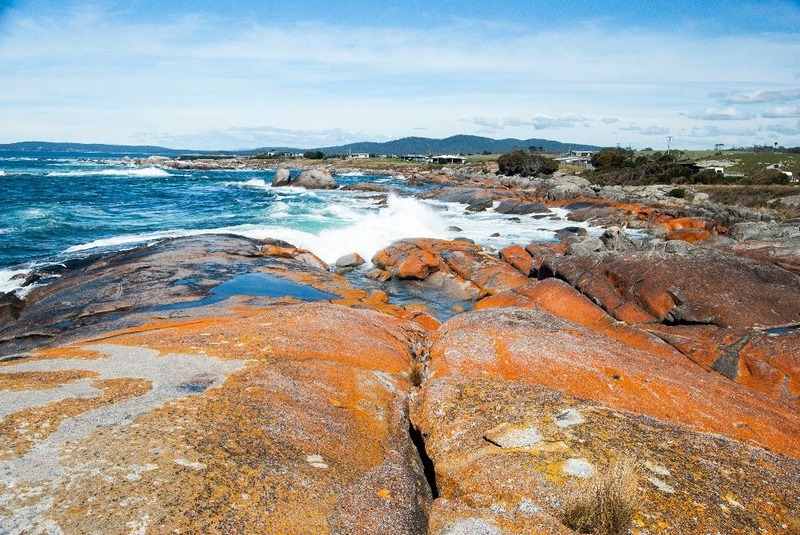 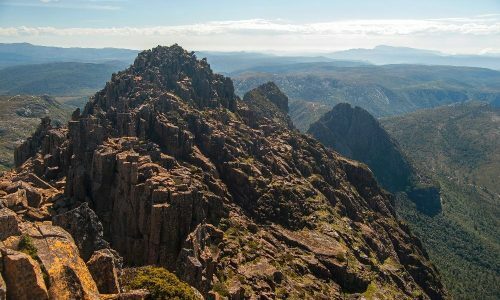 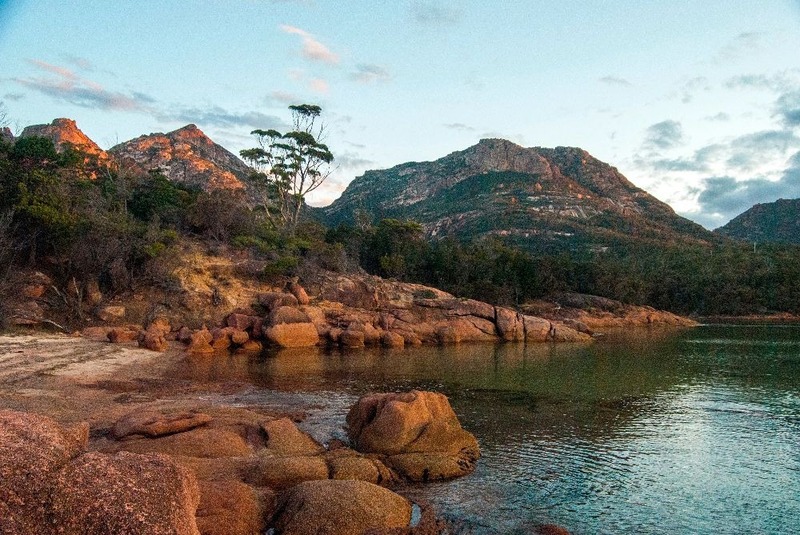 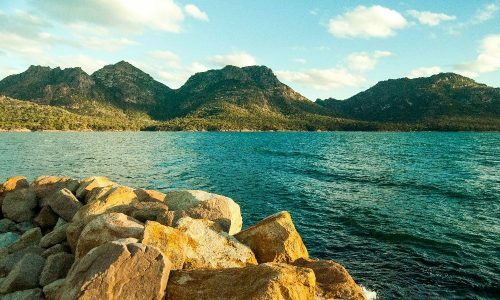 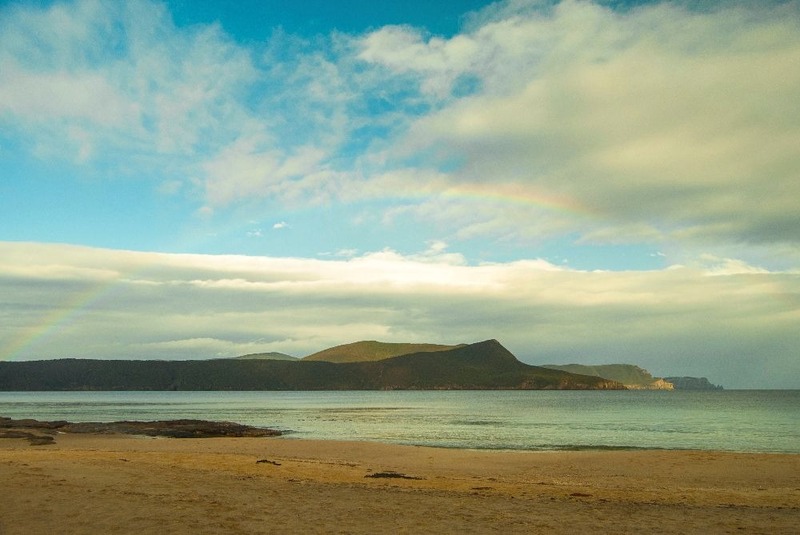 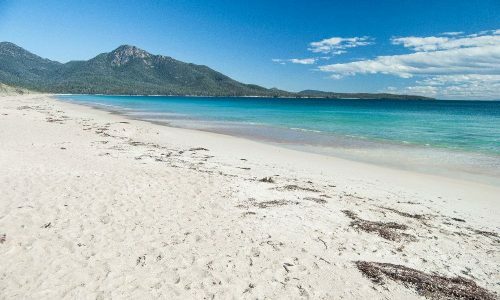 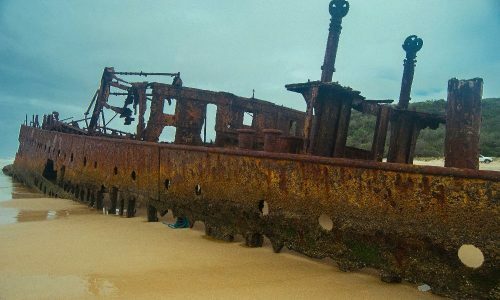 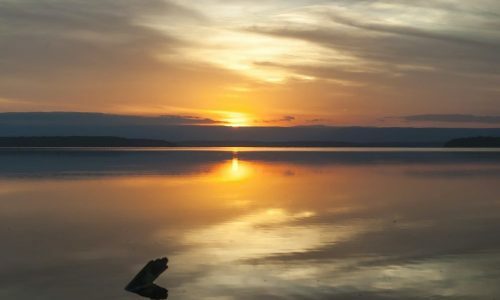 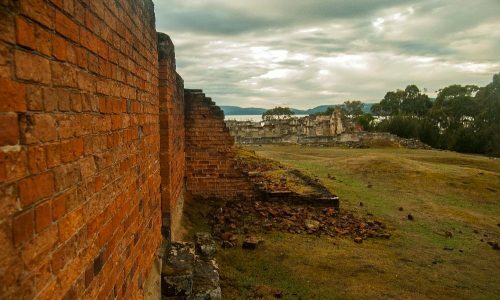 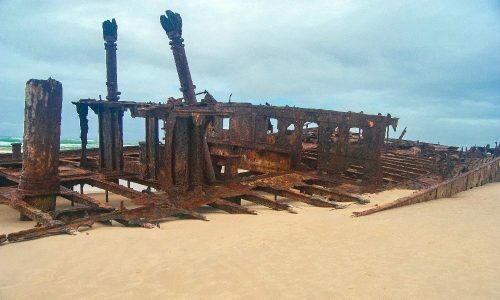 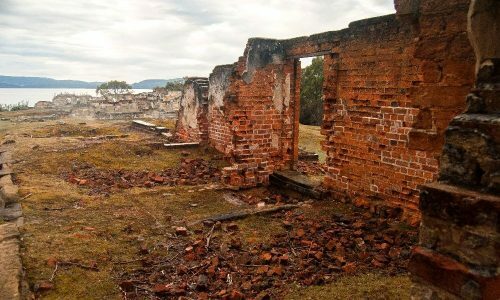 Many people overlook Tasmania when planning their Australia journey, and I am telling you, don’t be one of them! 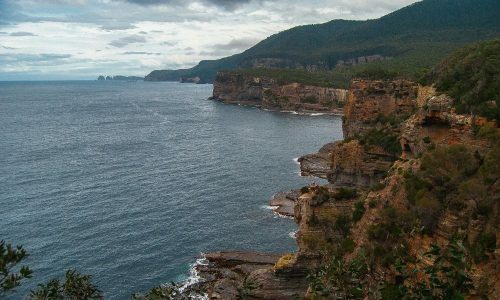 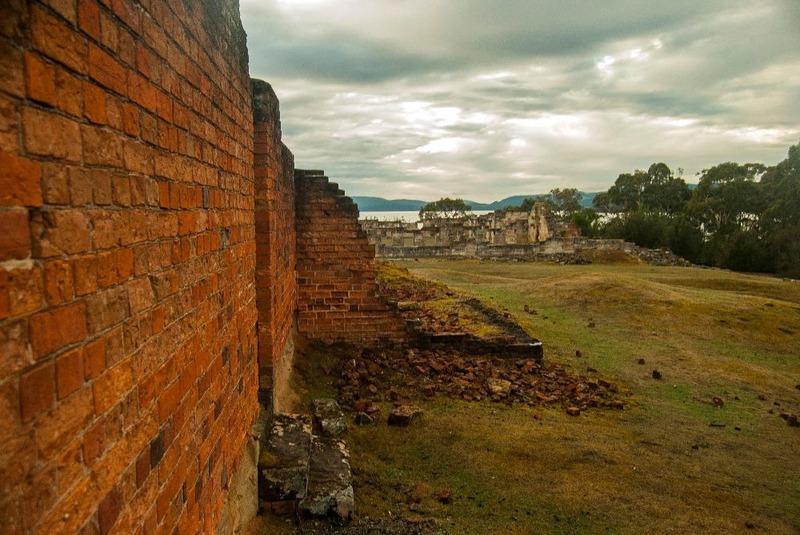 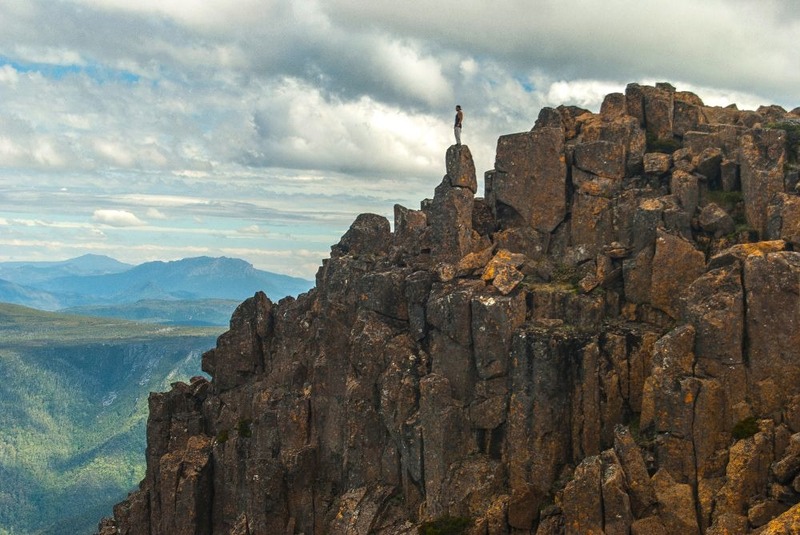 Tasmania was my biggest surprise in Australia. 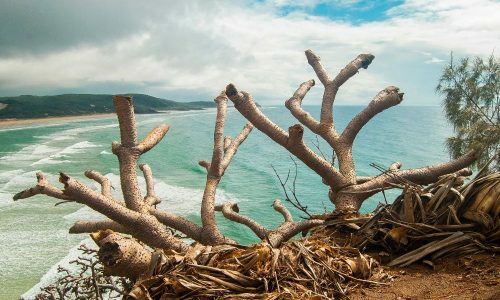 I didn’t know anything about the region and therefore had no expectations whatsoever, which might be why I was completely swept off my feet when I spent ten days there at the end of February 2016. 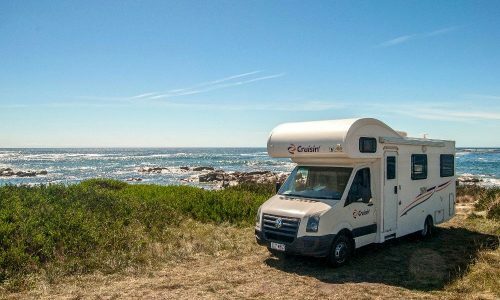 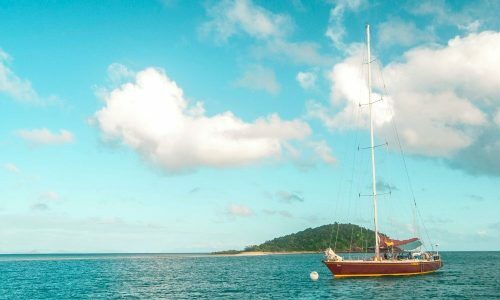 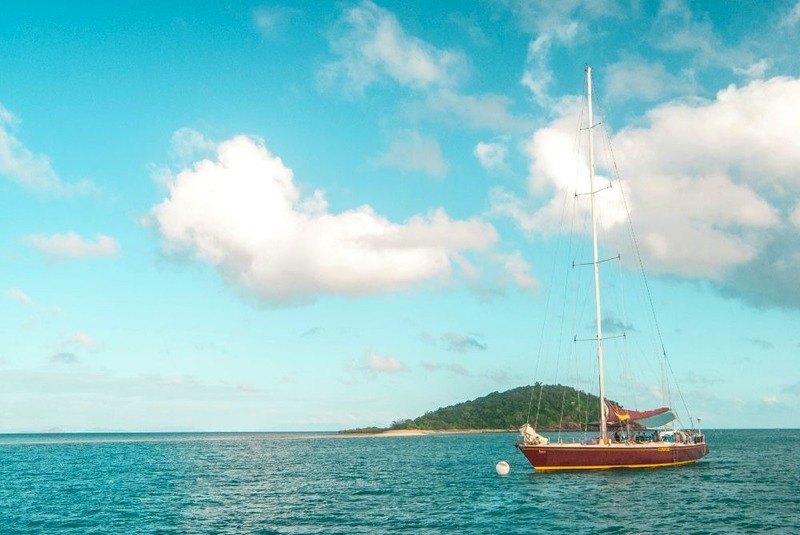 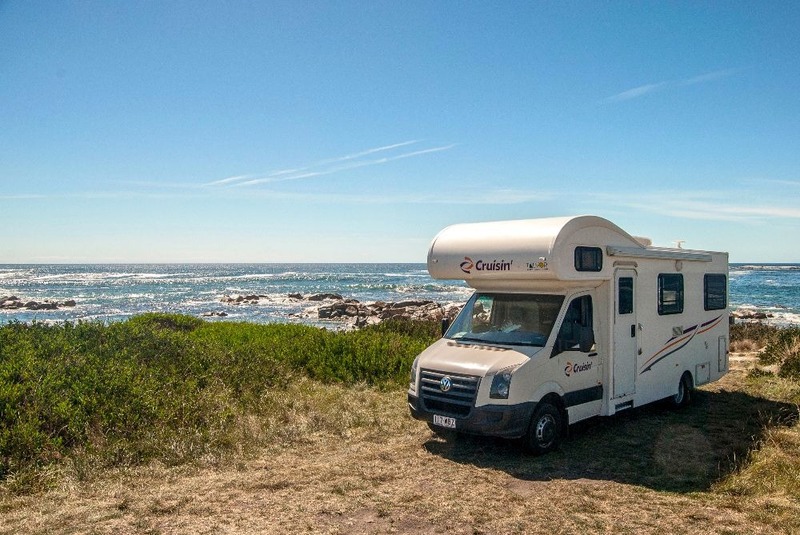 With five guys I had just met in Sydney, we booked flight tickets to the island, rented a motorhome where all six of us could sleep, and went for a life-changing adventure. 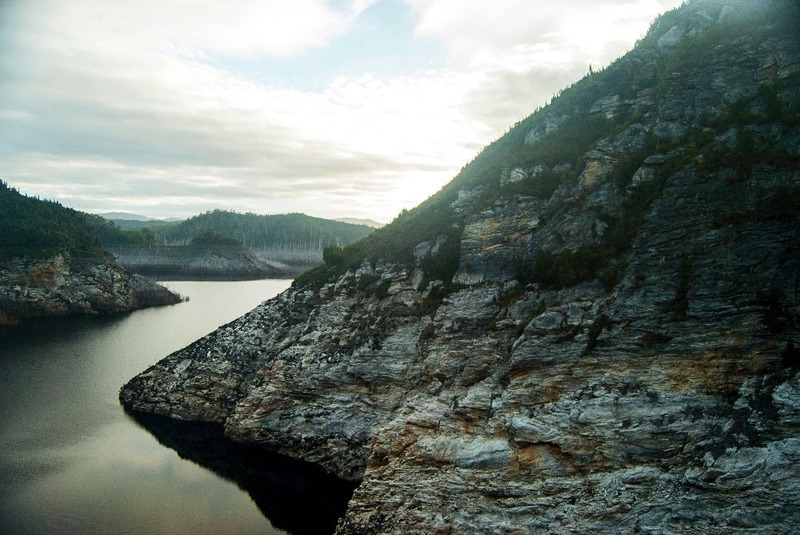 I started taking landscapes photos more seriously at that point, which is I assume what happens when you find yourself surrounded by all that natural, pure beauty. 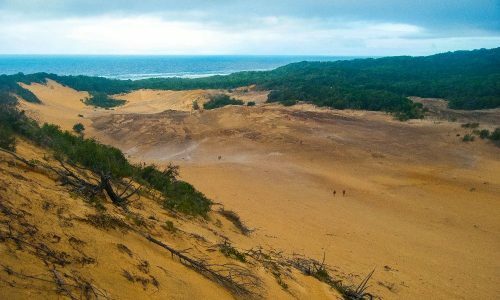 Expect breathtaking landscapes, numerous great hikes and some of the cleanest, most amazing beaches you’ll ever see in your life.